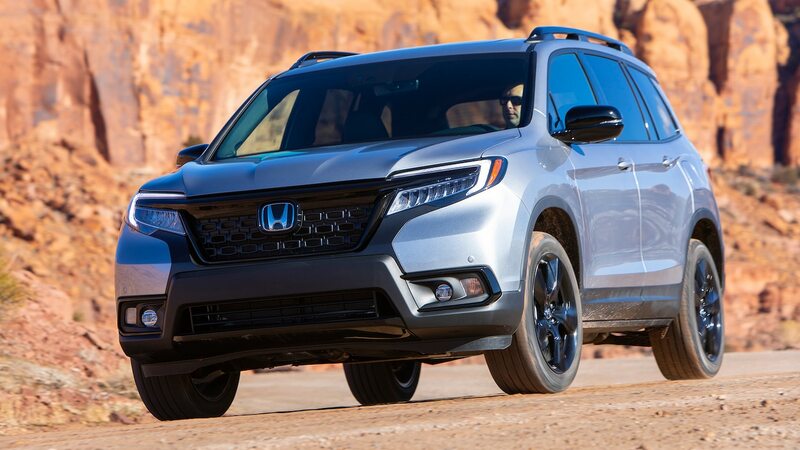 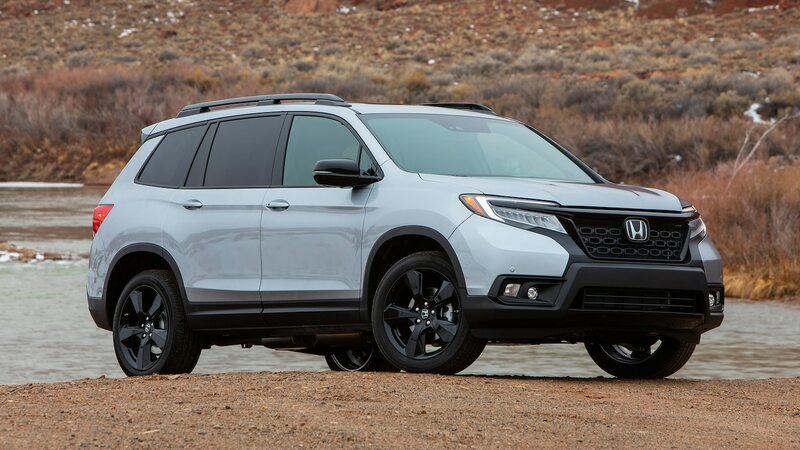 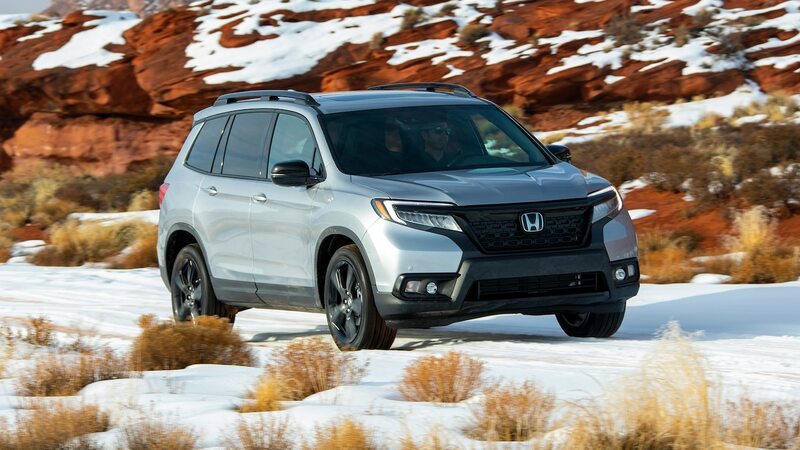 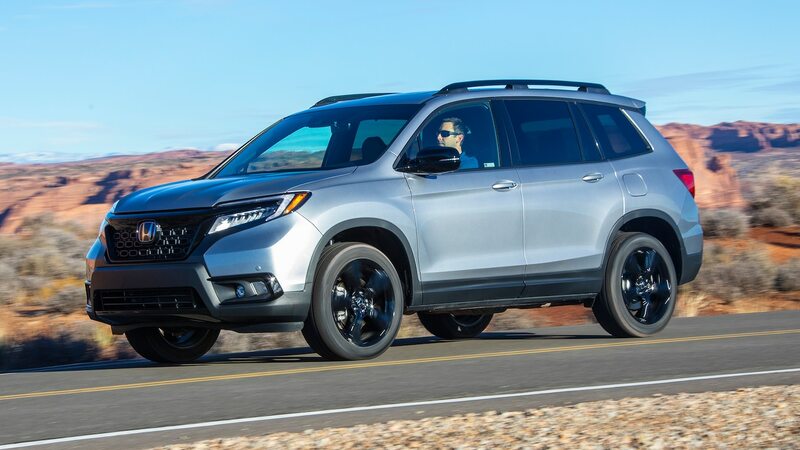 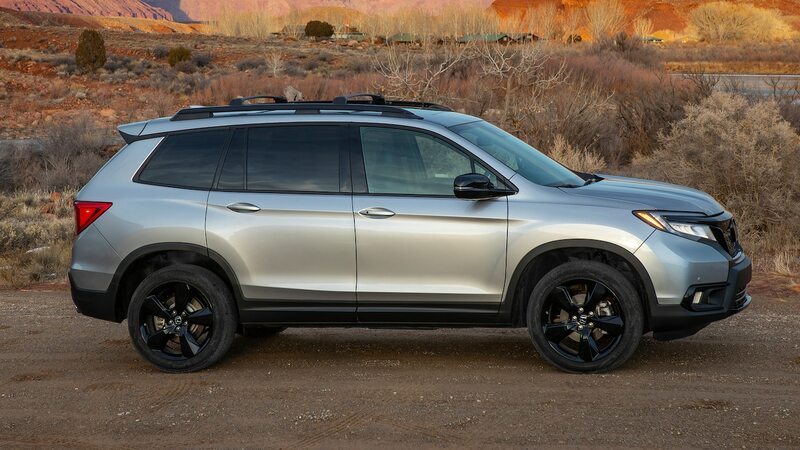 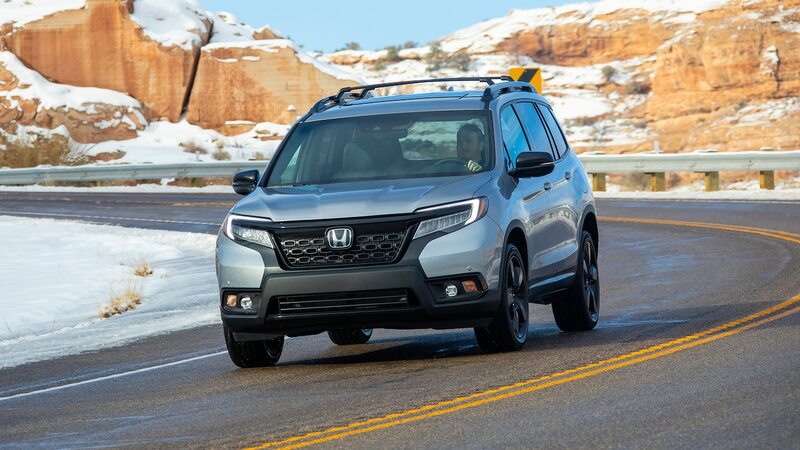 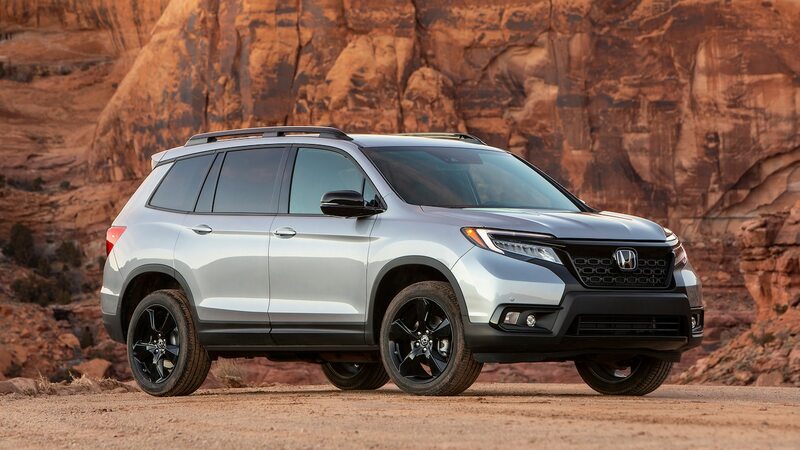 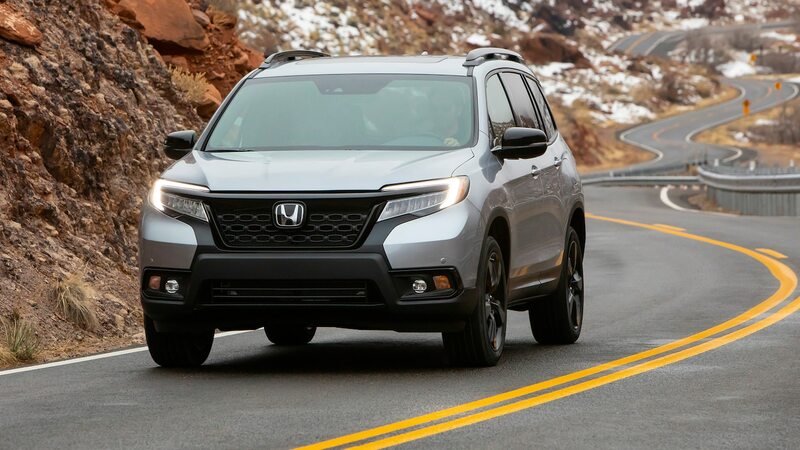 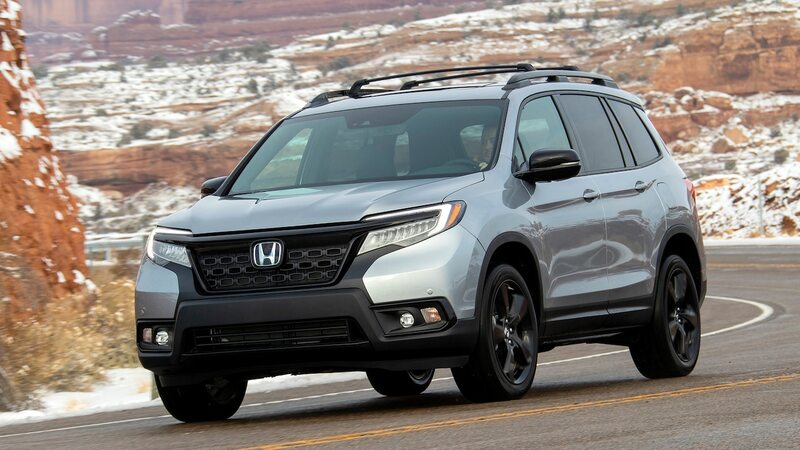 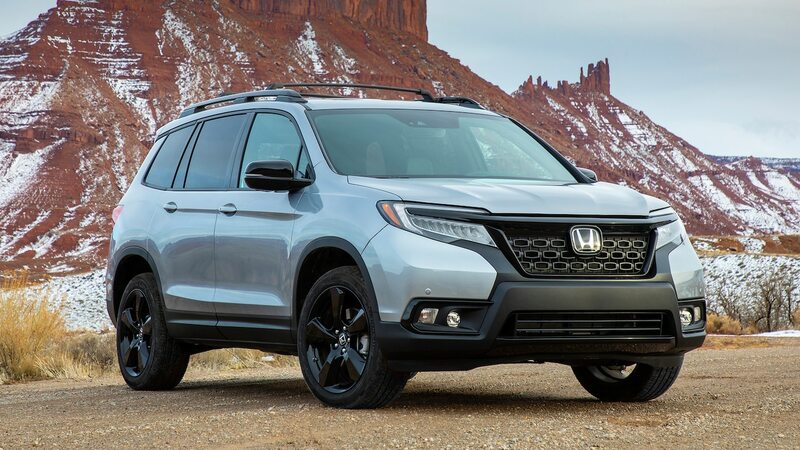 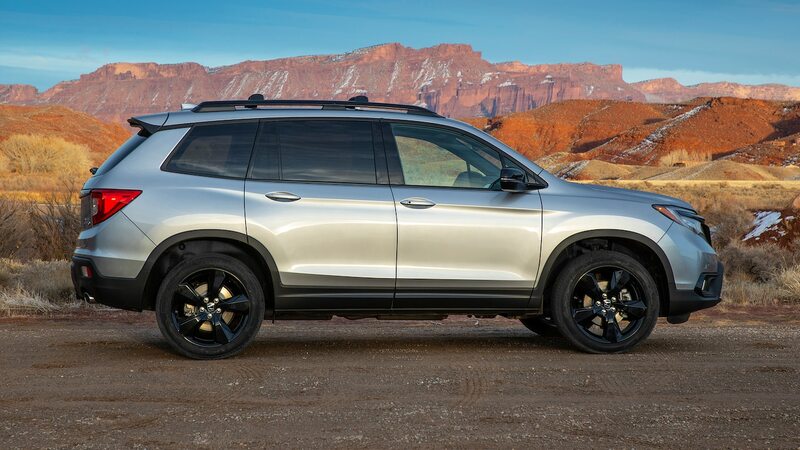 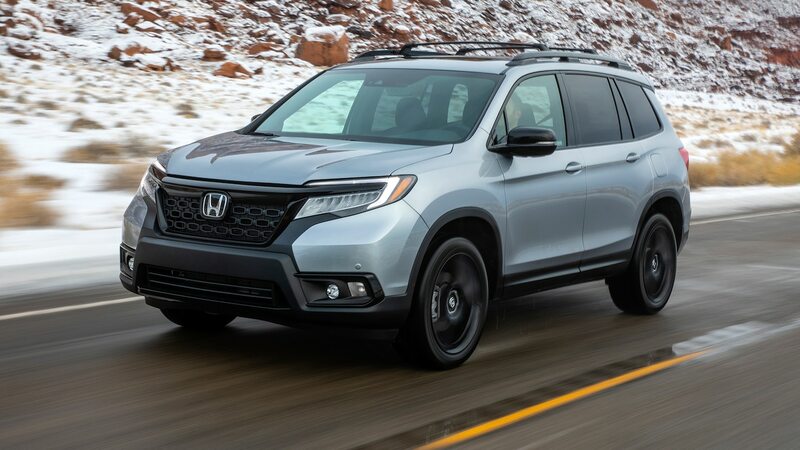 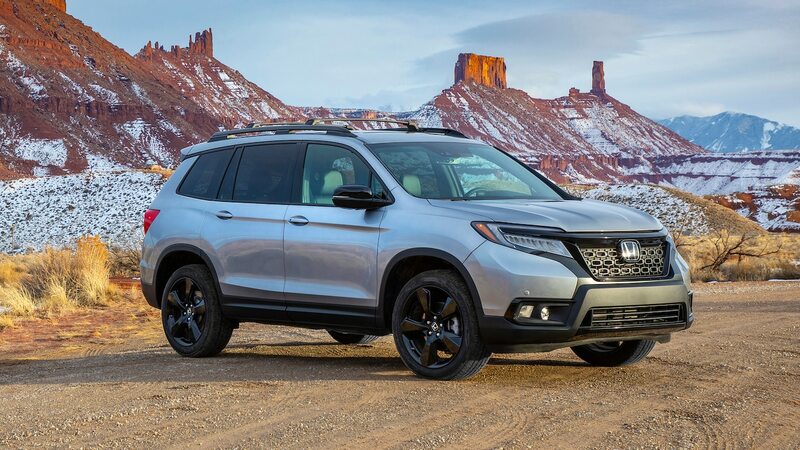 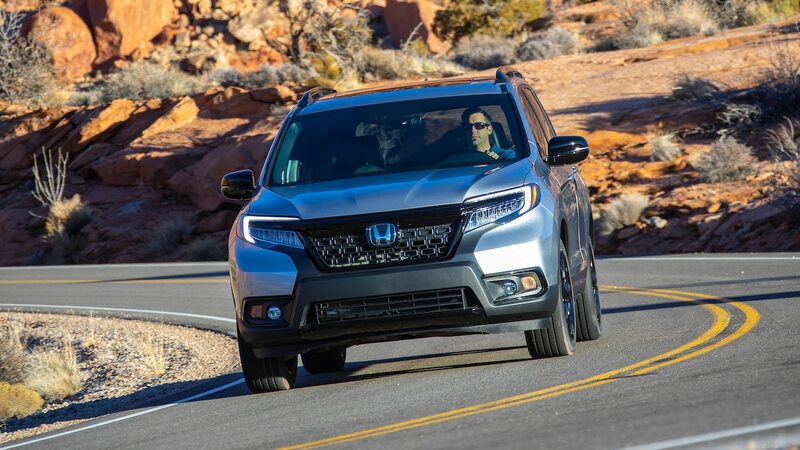 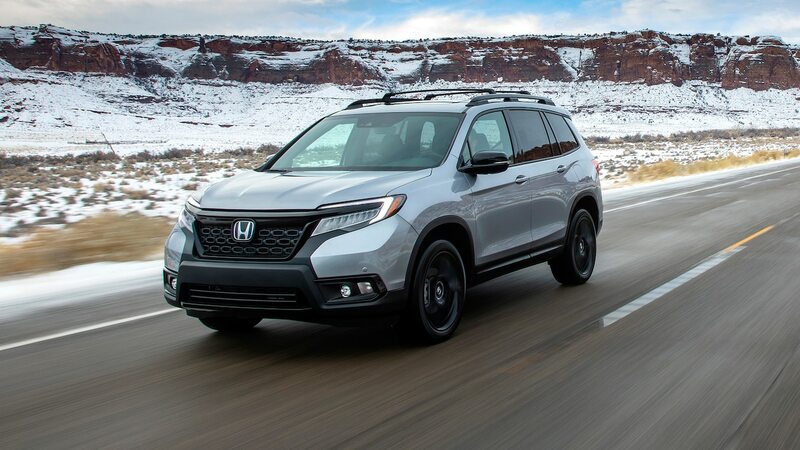 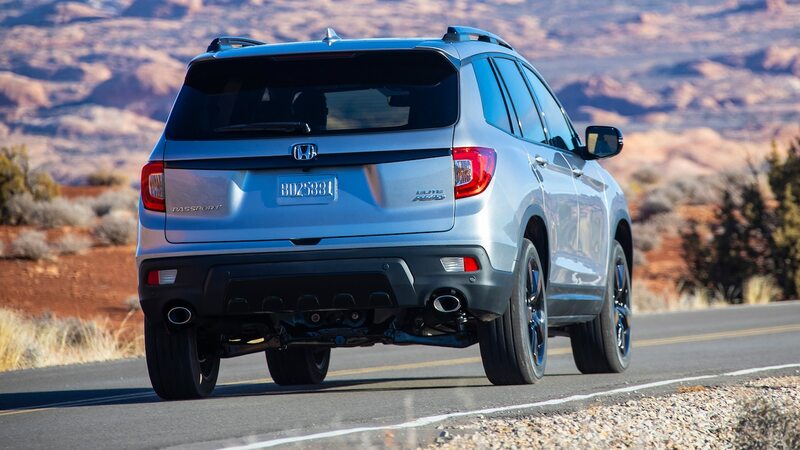 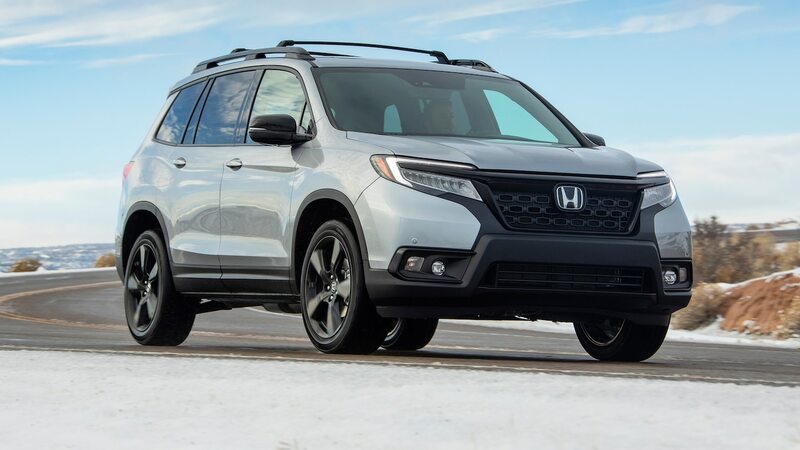 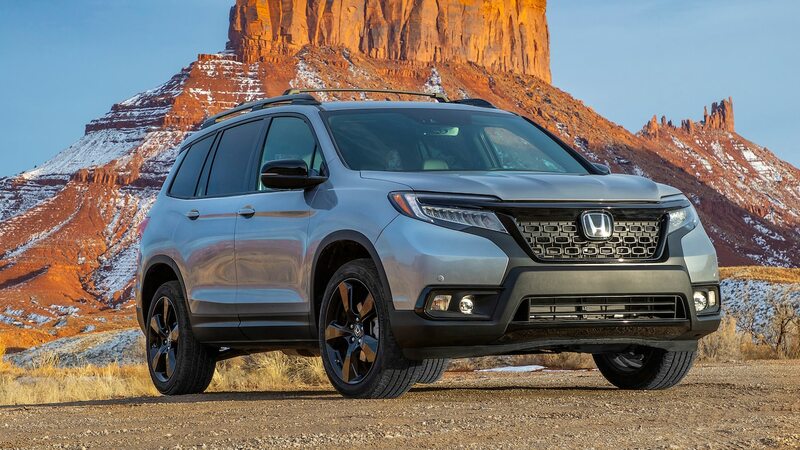 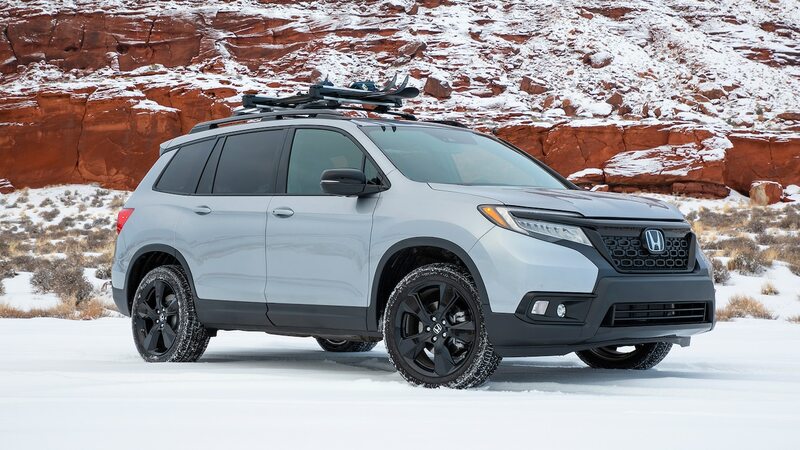 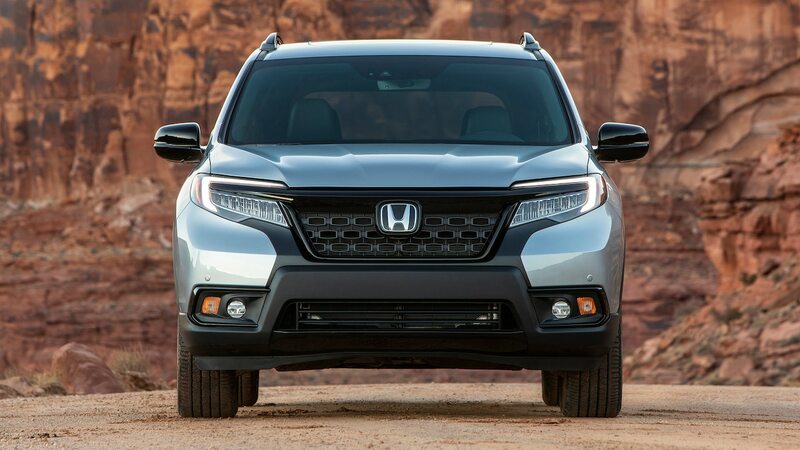 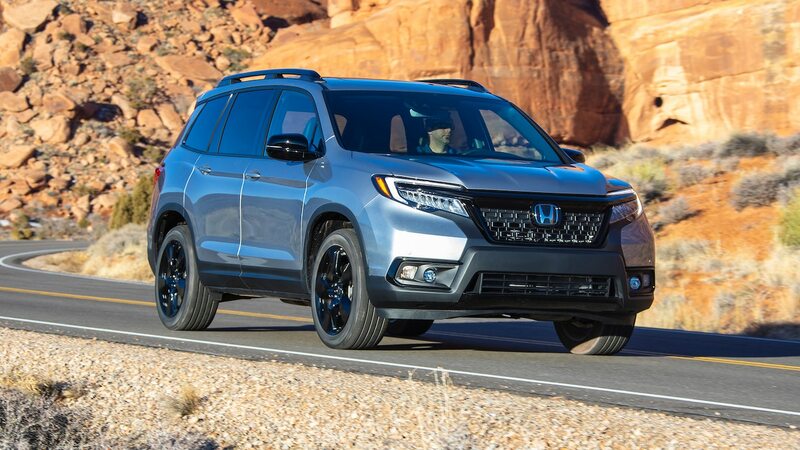 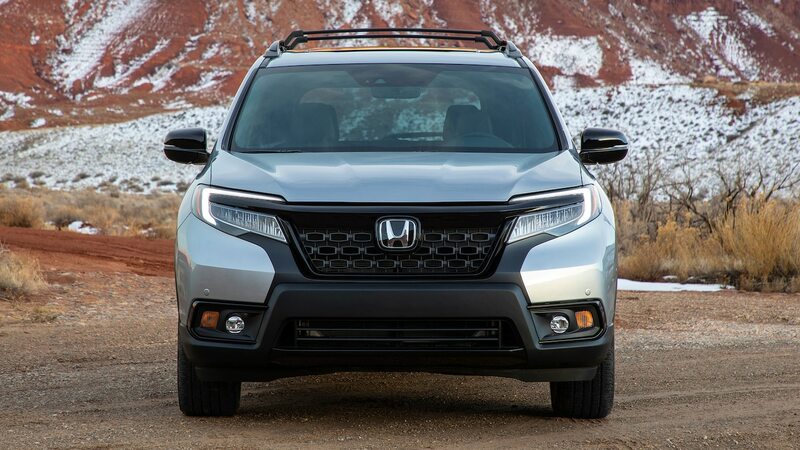 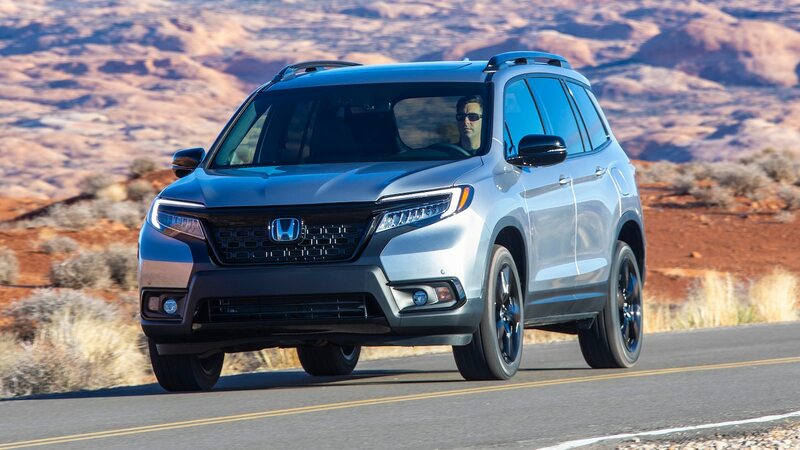 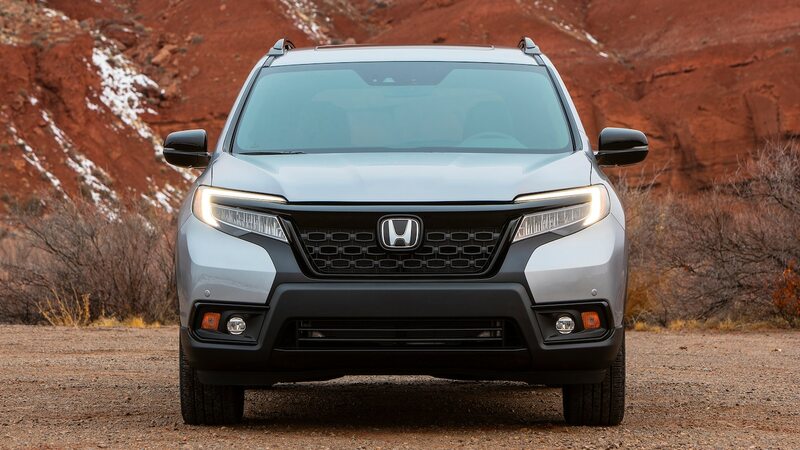 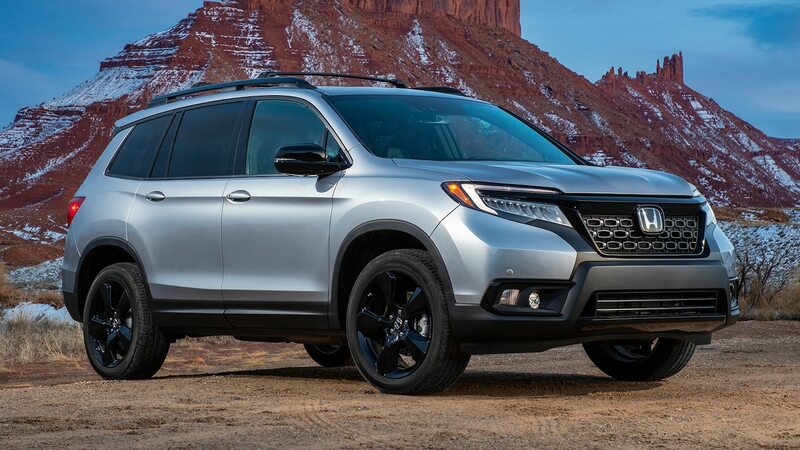 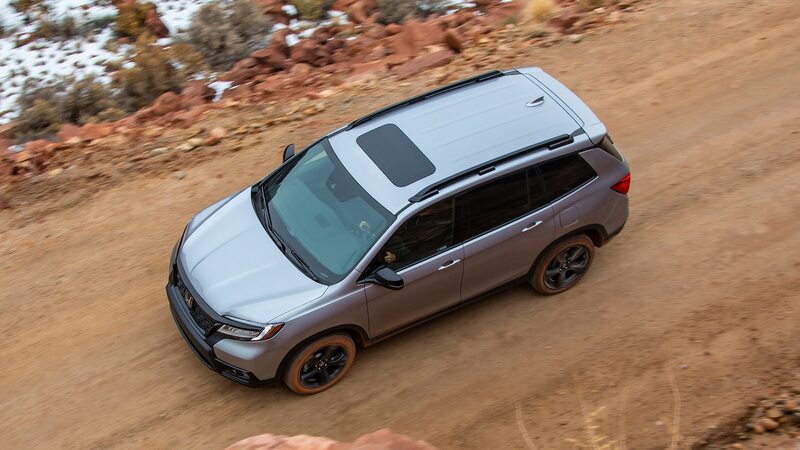 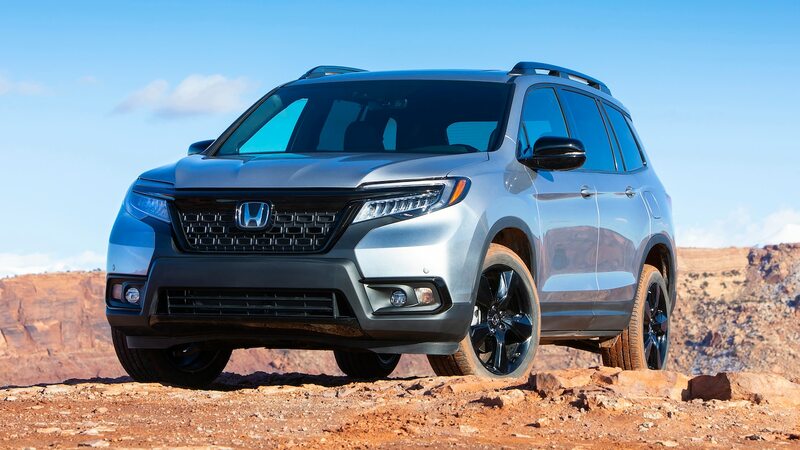 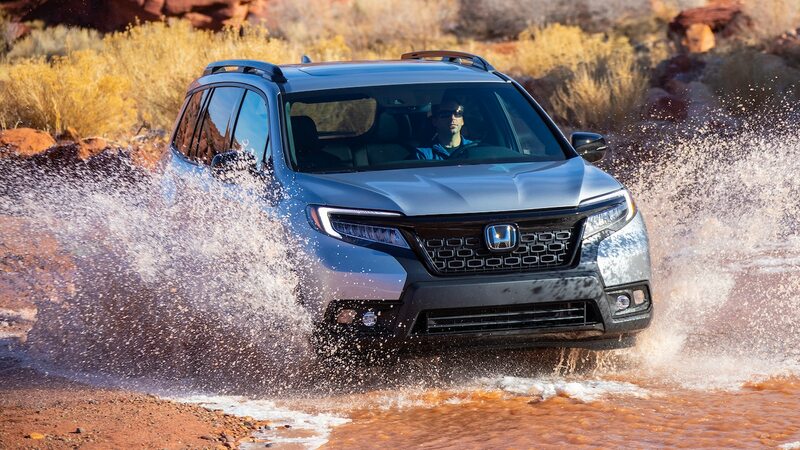 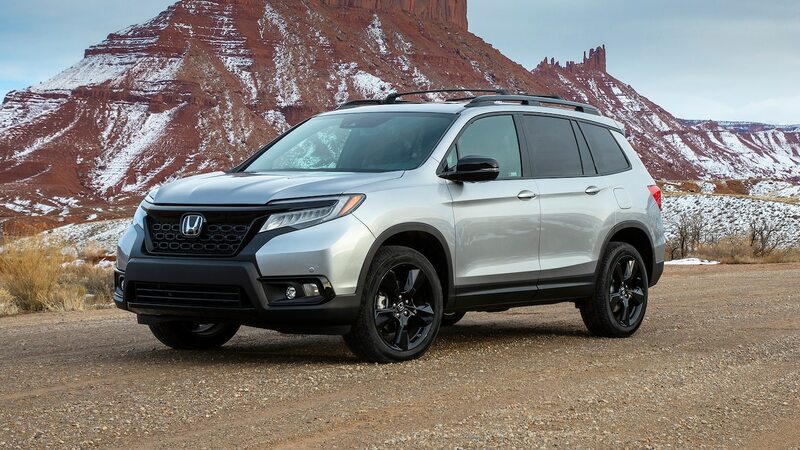 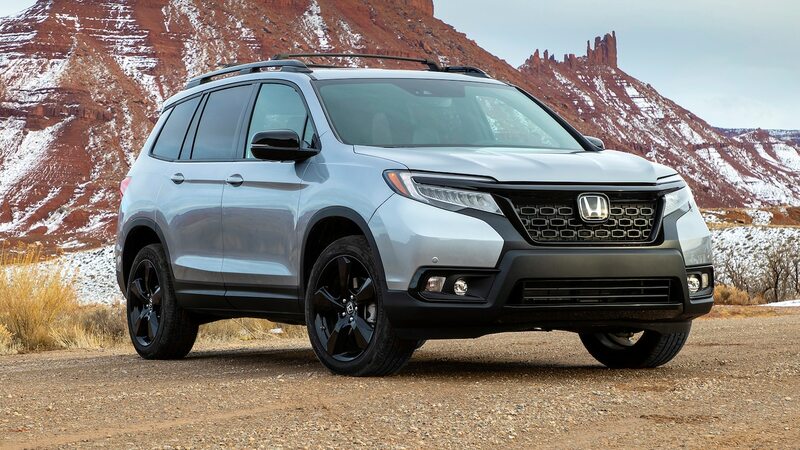 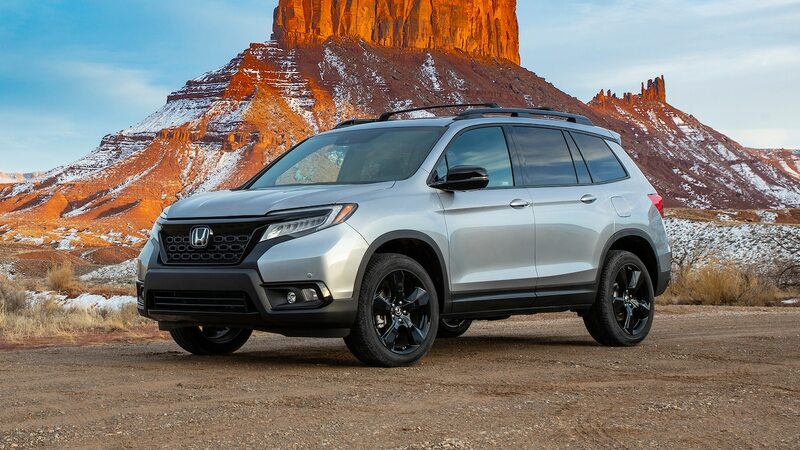 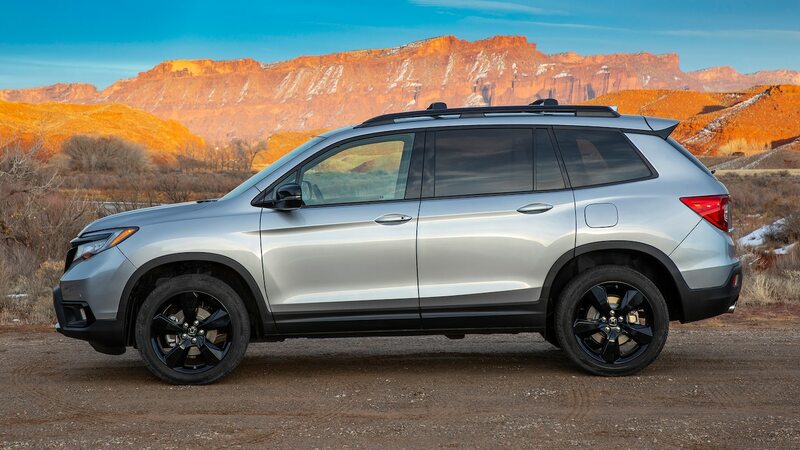 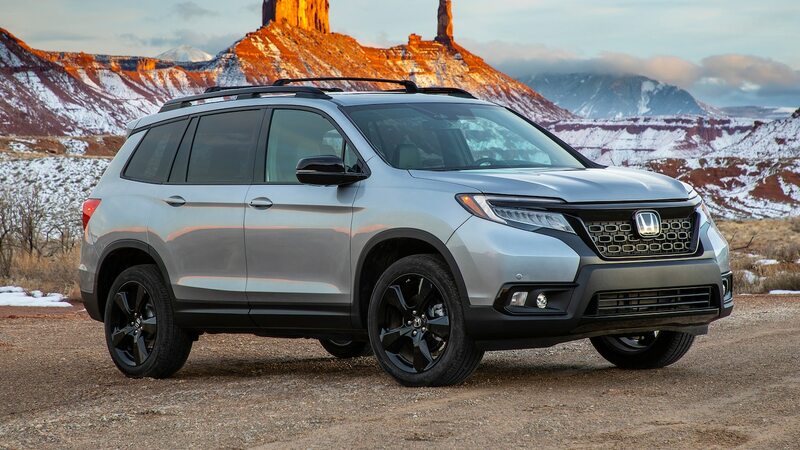 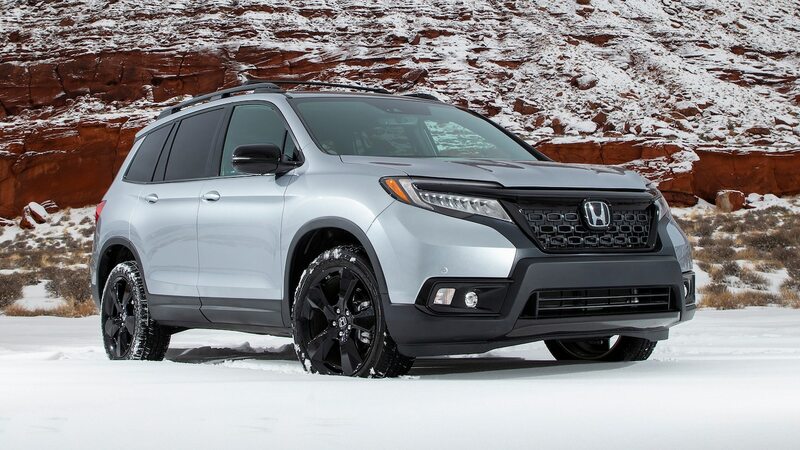 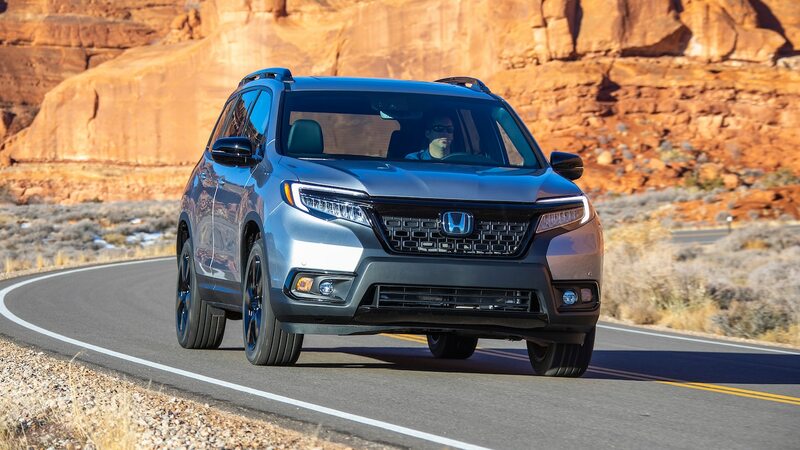 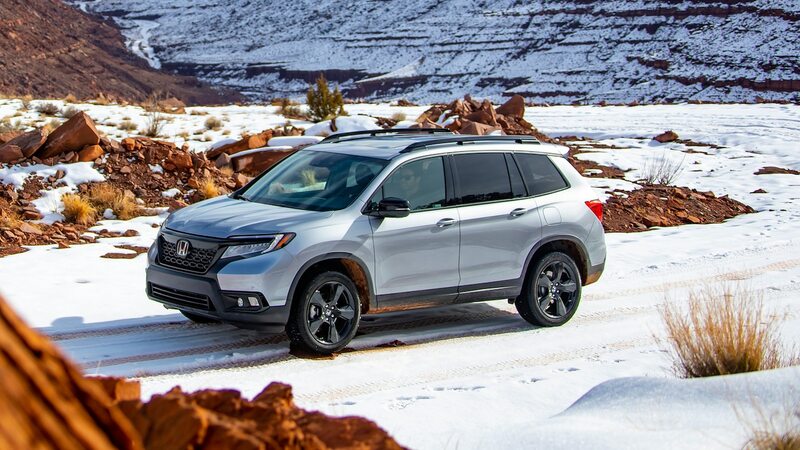 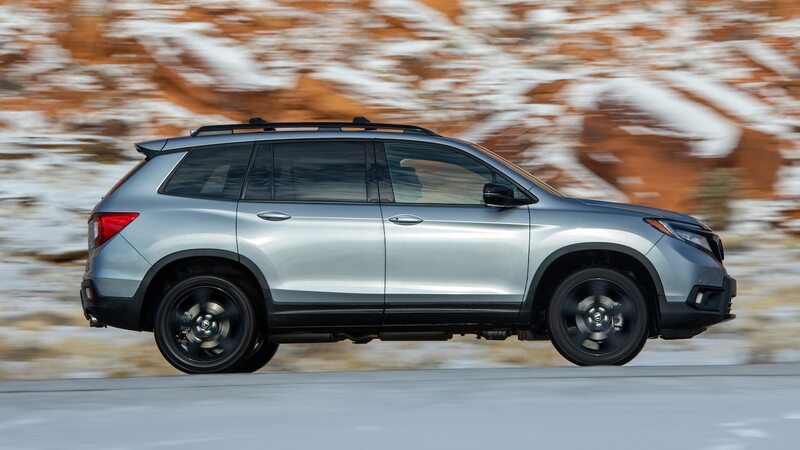 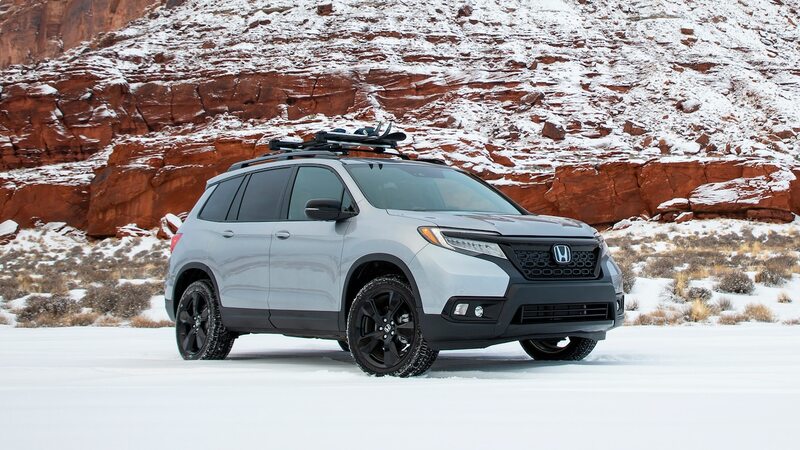 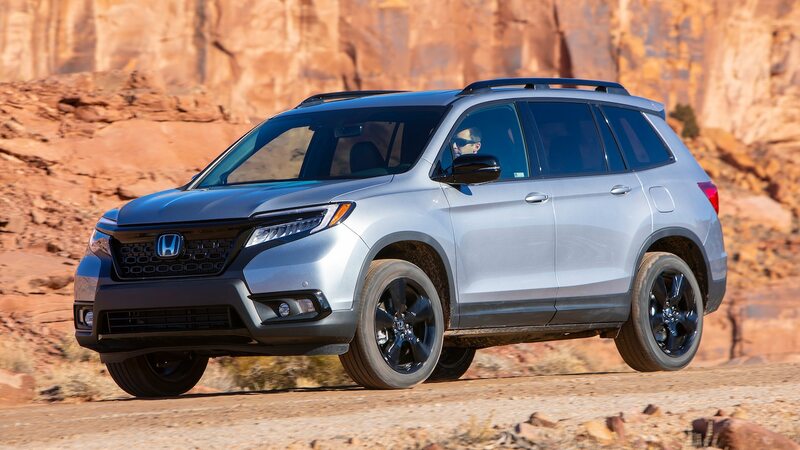 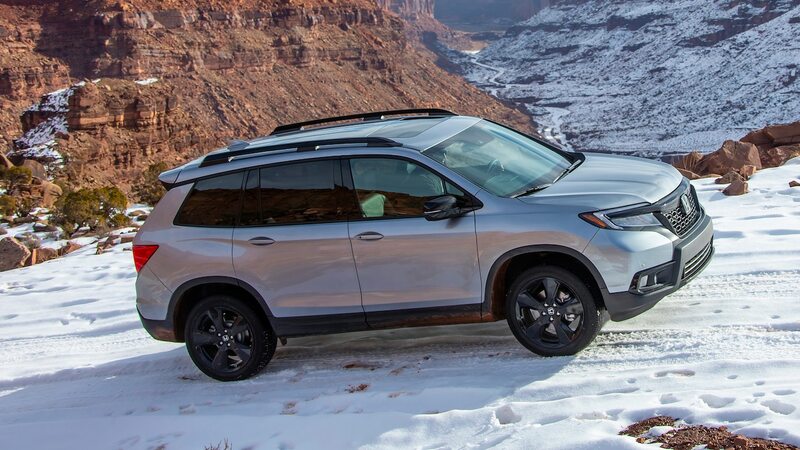 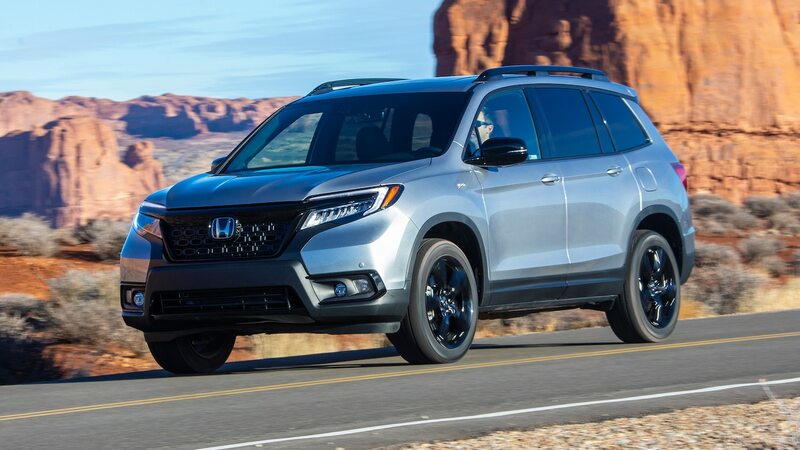 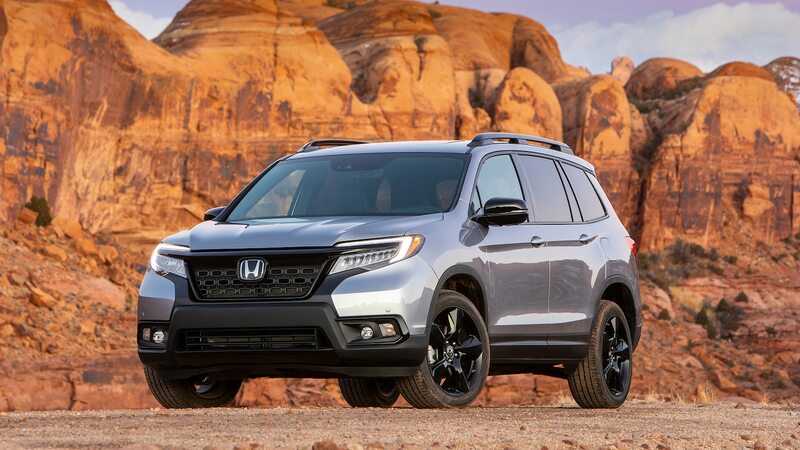 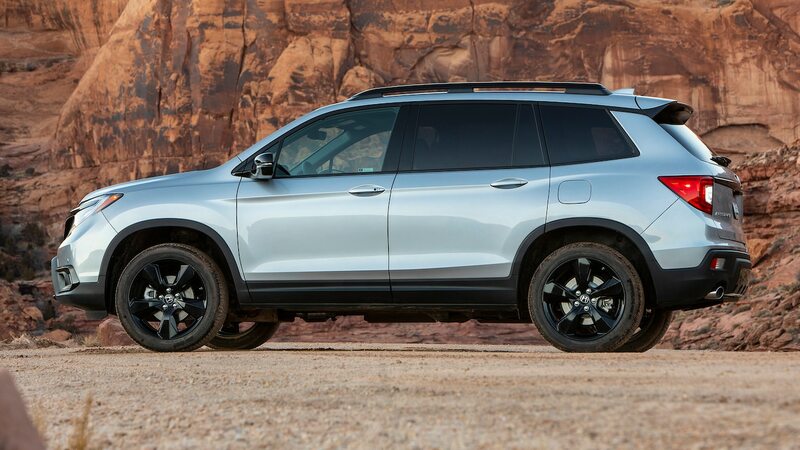 Home » Cars » Honda » Passport » 2019 Honda Passport First Drive: Moab Ready? 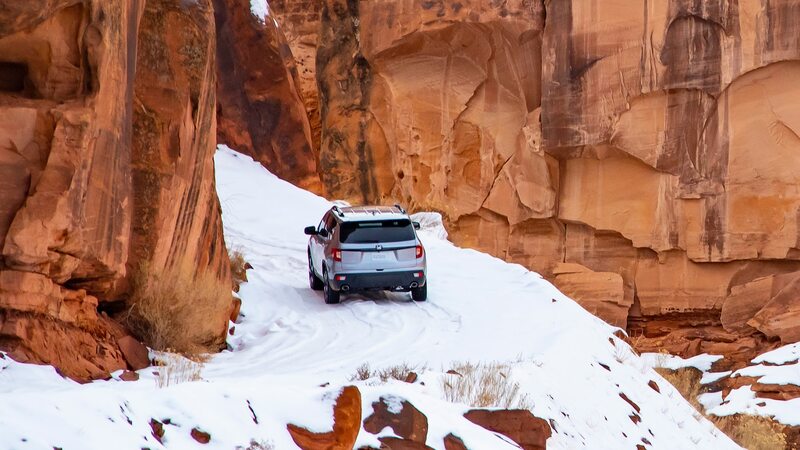 With its stunning red rock landscape, Moab, Utah, is one of the most fabulous places on Earth. 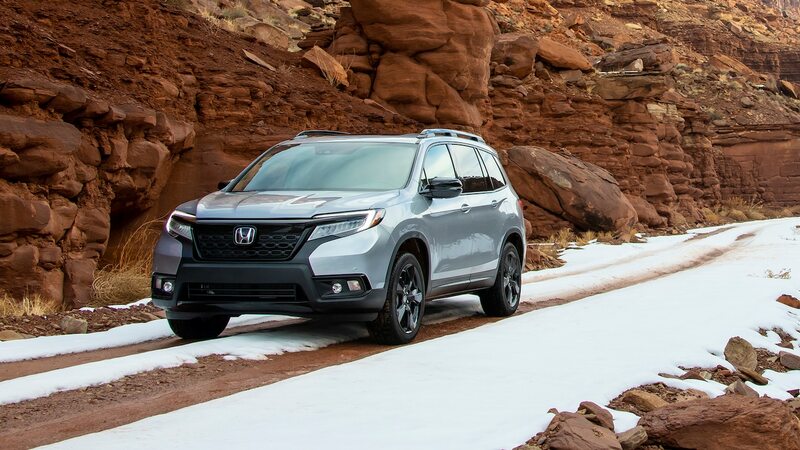 No matter how many times you visit, the impressive rock formations and unreal cliff drops inspire you to explore and enjoy nature in various ways. 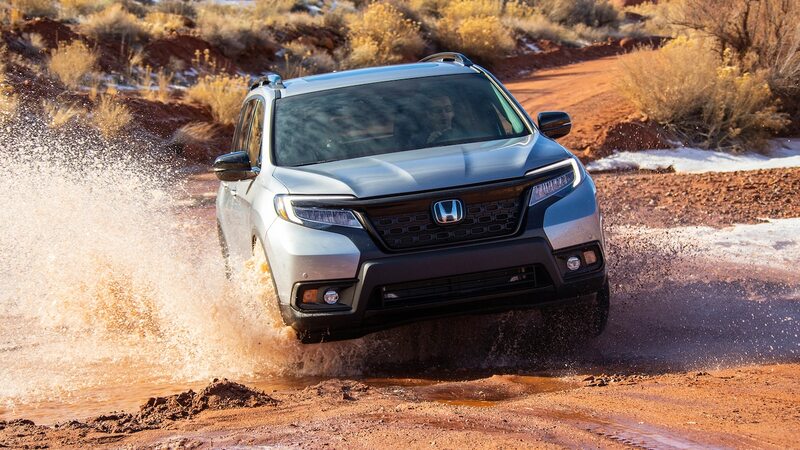 That includes four-wheeling. 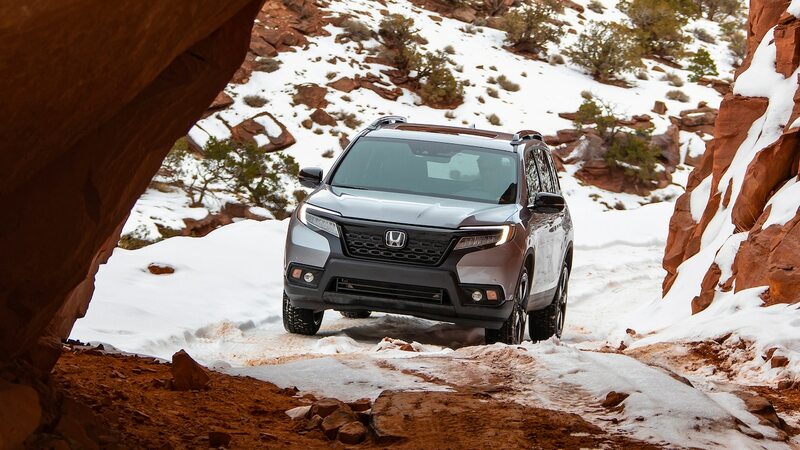 and the diversity of the trails makes Moab excellent for everything from a lifted Jeep Wrangler to a family vehicle like the all-new 2019 Honda Passport. 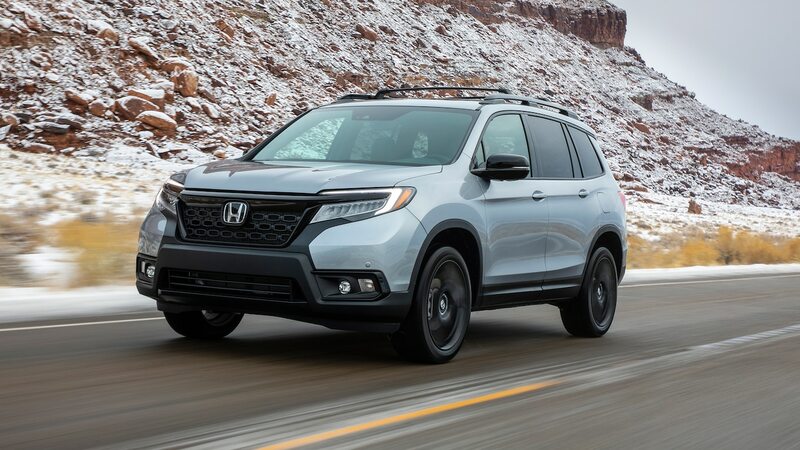 Back in the ’90s and early 2000s, Honda offered the body-on-frame Passport SUV as American consumers left sedans for something bigger and more capable. 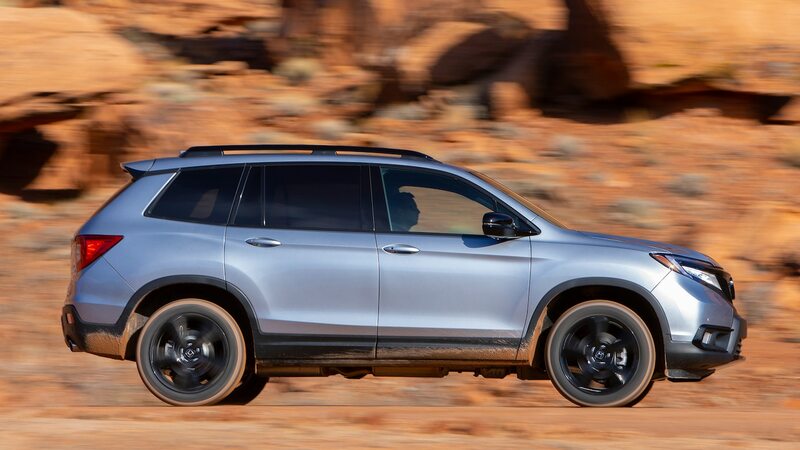 It was essentially a rebadged Isuzu Rodeo, and although the Pilot replaced it in 2003, the Passport had that off-road ability to tackle some of Moab’s most challenging trails. 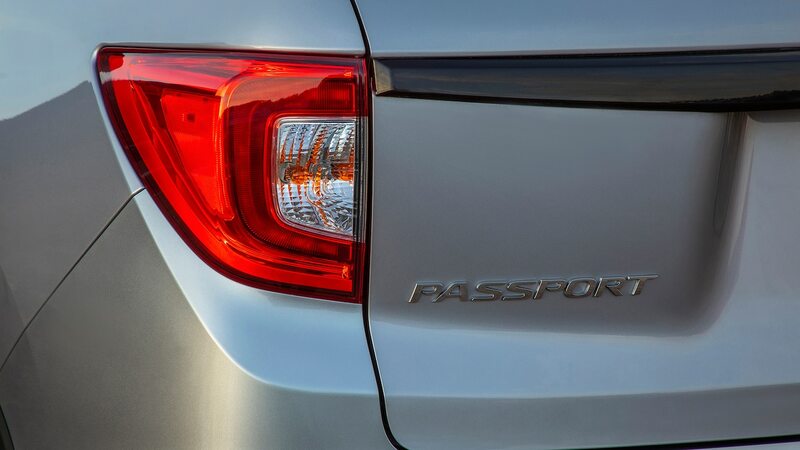 But the industry has changed significantly since 2002, when the last Passport was sold in America. 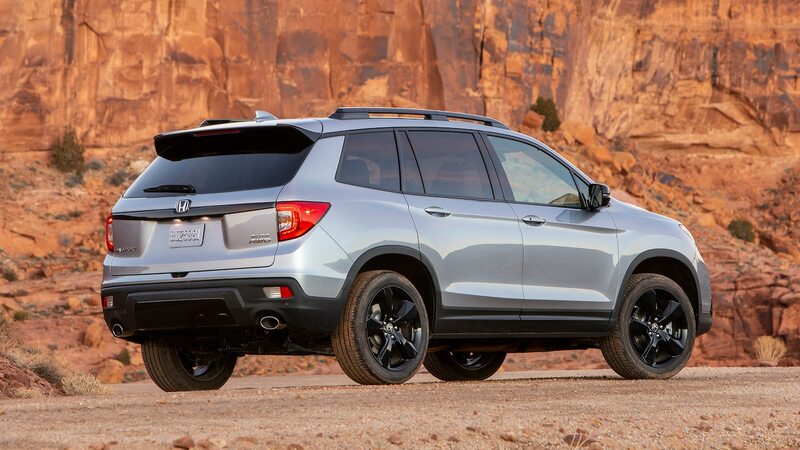 That year, for instance, the top 10 best-selling vehicles included just two SUVs. 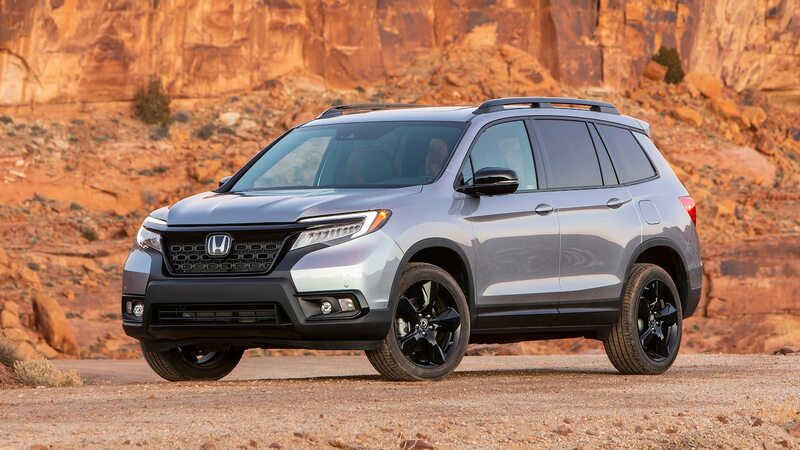 Last year’s top 10 chart features four crossovers, as consumers look for high-riding and spacious vehicles. 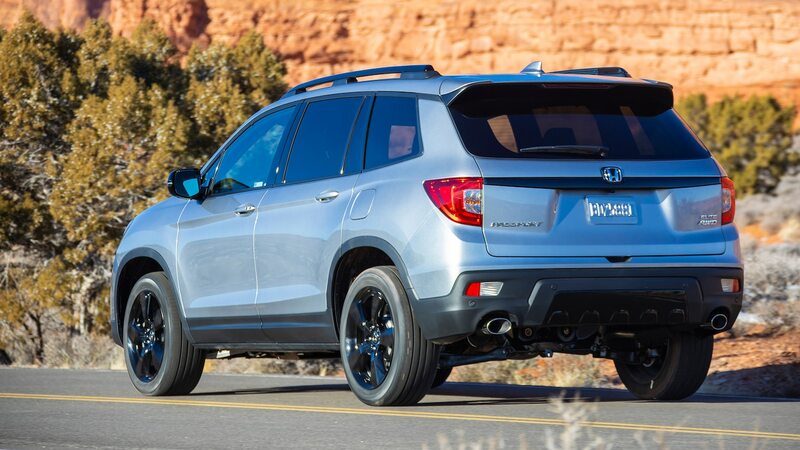 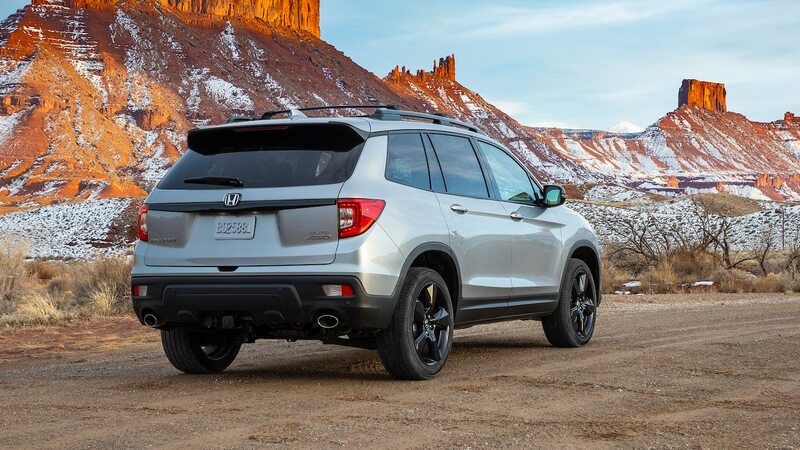 The 2019 Passport reflects those changes, as it shares most of its parts with the Pilot, featuring a unibody platform and an all-wheel-drive system that allows it to go through burdensome trails while still providing a satisfying driving experience on pavement. 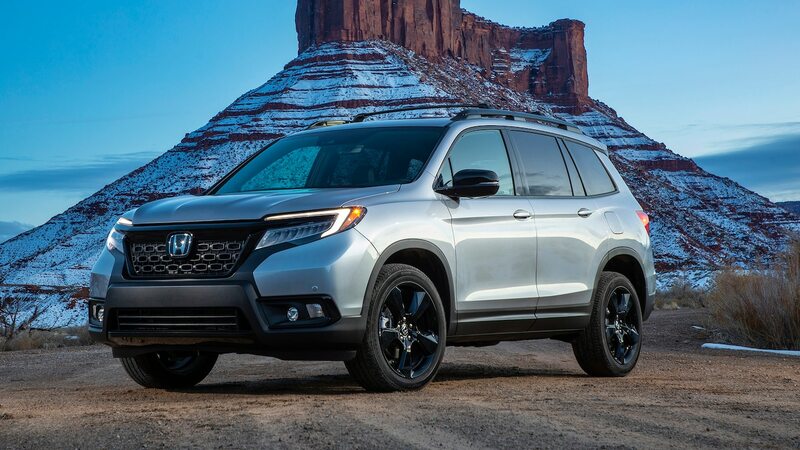 The new Honda crossover will slot between the CR-V and Pilot, offering seating for five passengers and massive cargo space. 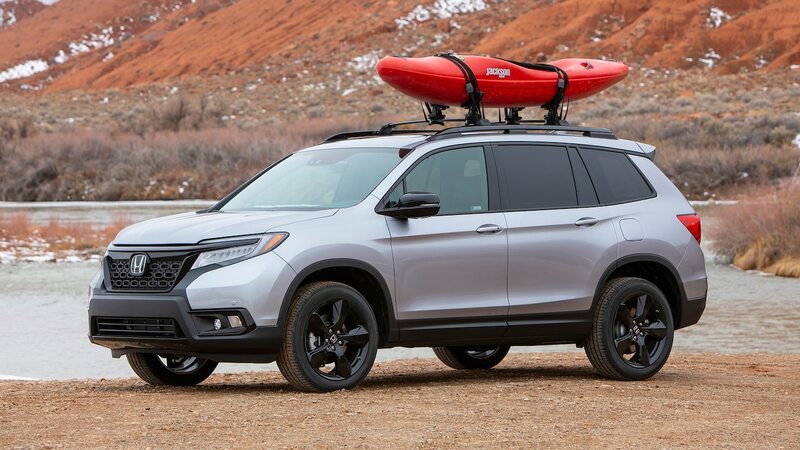 See the 2019 Passport’s two predecessors right here. 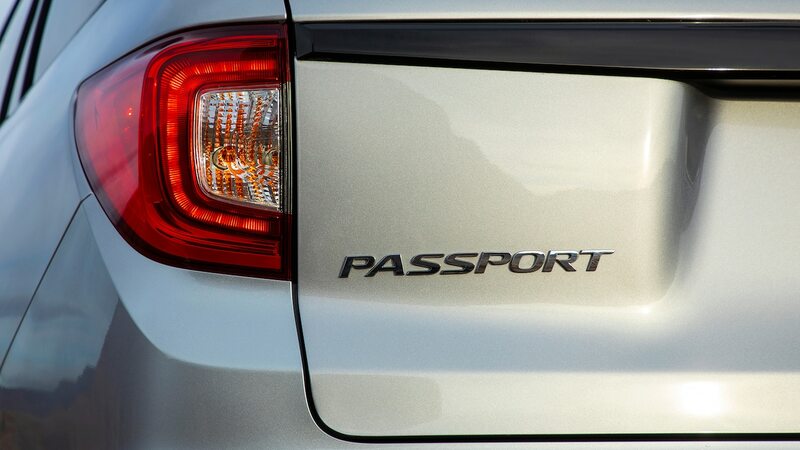 Part of the Passport’s adventure-ready spirit comes from its dimensions. 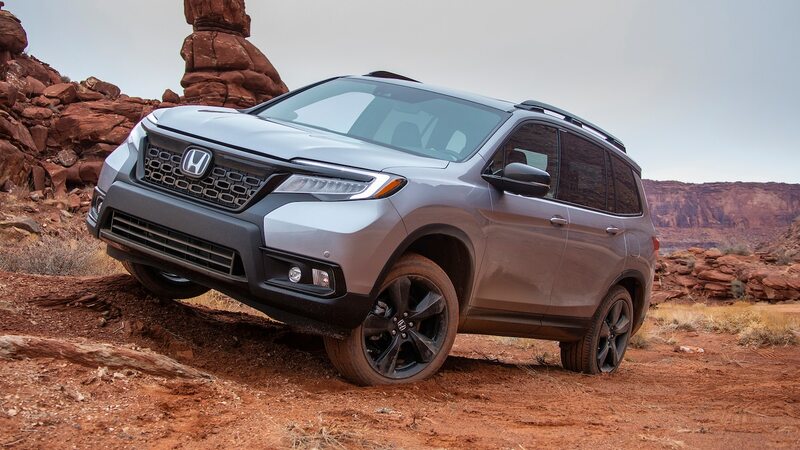 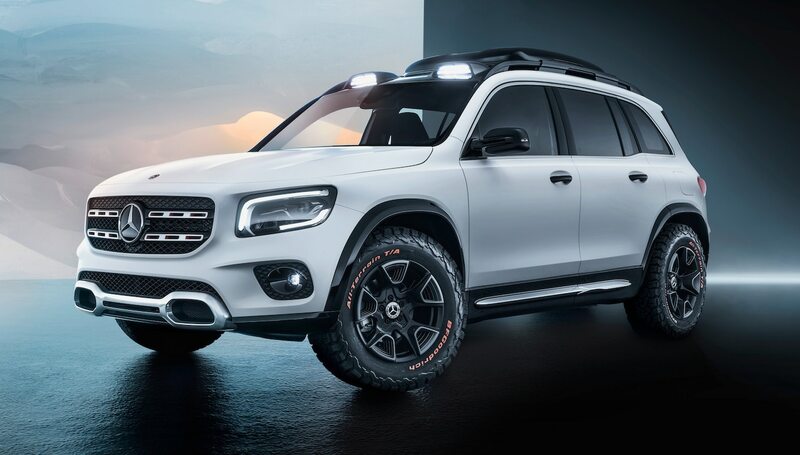 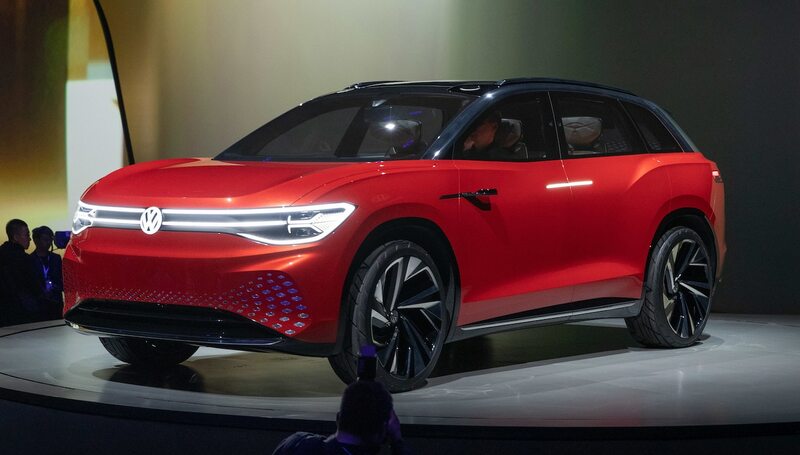 The Passport is 6.0 inches shorter than the Pilot, has 0.2 to 0.8 inches more ground clearance and shares the same wheelbase as the Pilot (111 inches). 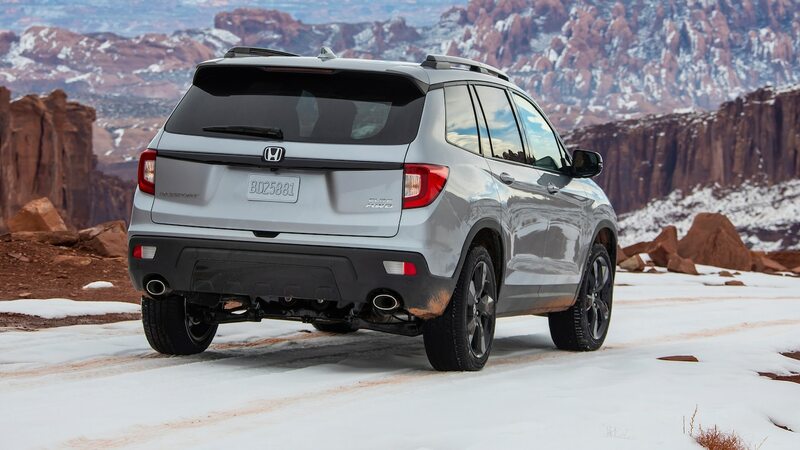 This, along with the short front and rear overhangs, allows the Passport to have 21.4/27.6-degree approach/departure angles on all-wheel-drive models. 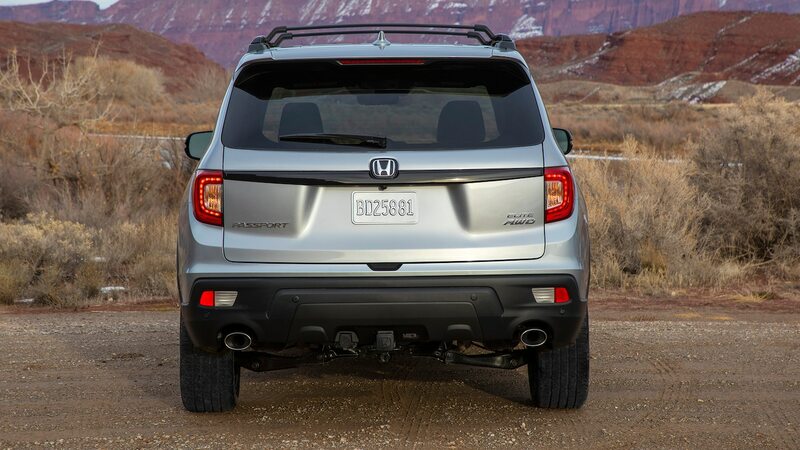 The stunning back roads inside Arches National Park and Canyonlands National Park served as the off-road test for the new Passport. 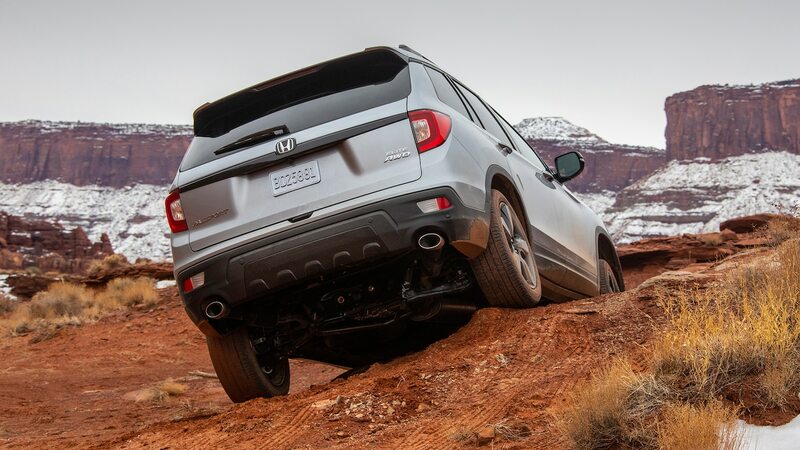 Even though most of the time we drove on dirt roads, we got on three wheels a couple times while crawling over rocks. 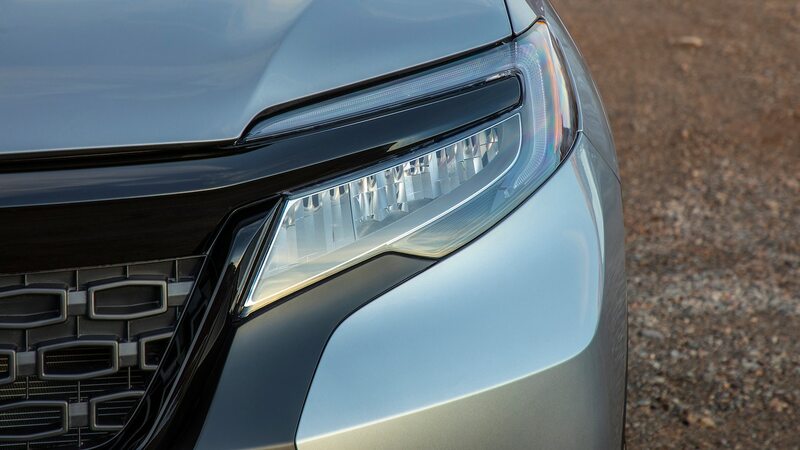 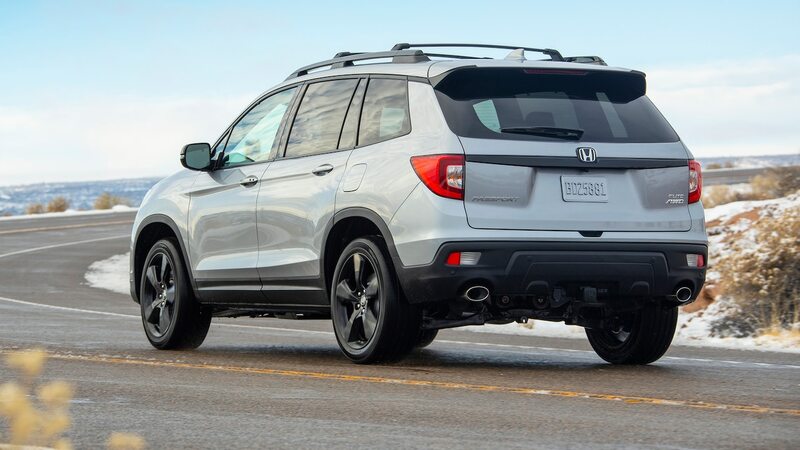 The Honda’s short front overhang prevented any damage to the fascia, but the underbody did get scratched a little when driving over the most difficult parts of the trail. 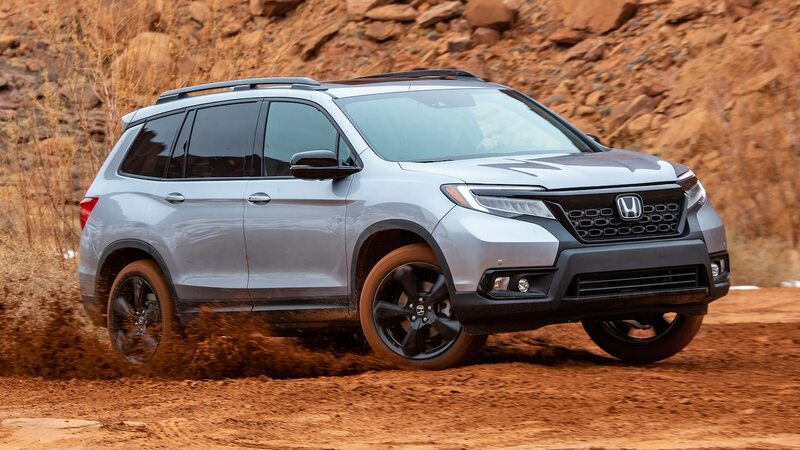 Honda made some changes to the suspension, allowing it to tackle on-road vibrations and providing better damping off-road. 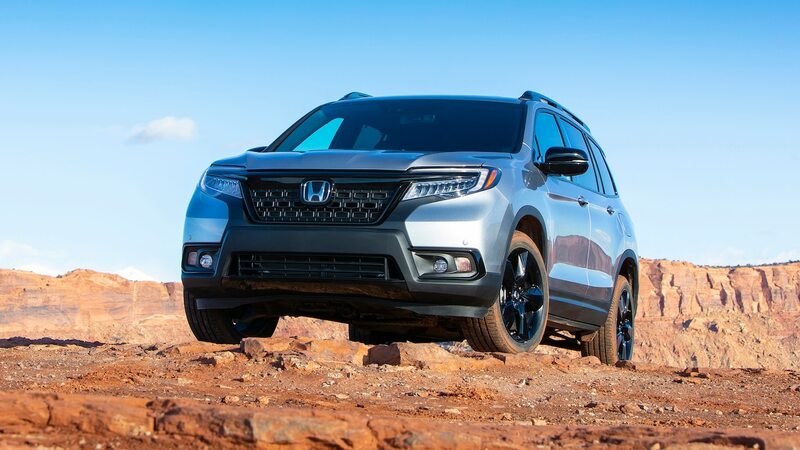 When driving over rocks, the suspension absorbed the movements in good fashion, and even when driving at about 55 mph (88 km/h) on some dirt roads, the cabin felt quiet and peaceful. 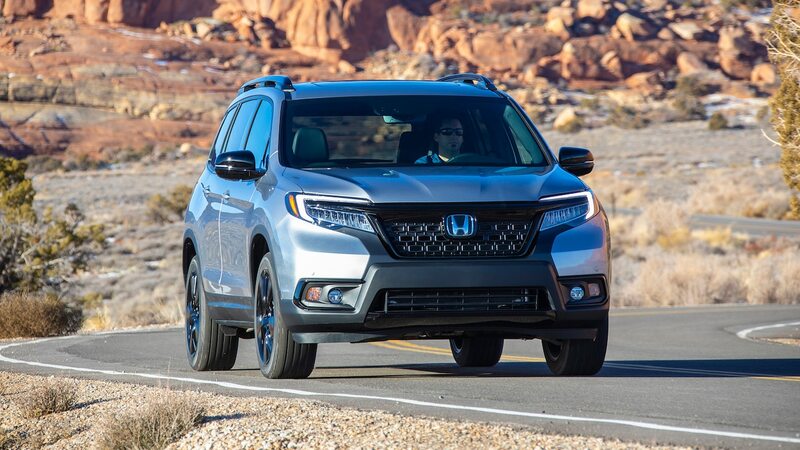 The same goes when driving on the highway—we’ve praised Honda for the minimal body roll we’ve experienced in its SUVs, and the Passport maintains that trait. 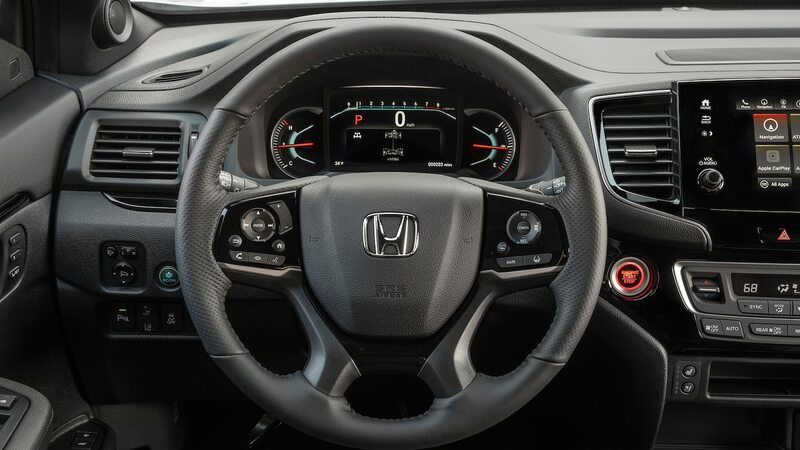 The steering feels well balanced and sporty, giving good feedback of what’s happening on the ground. 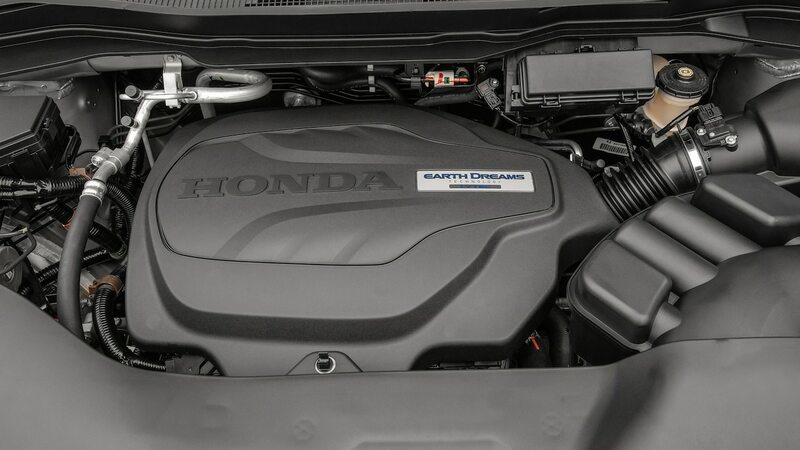 The Passport’s heart—a 3.5-liter V-6 engine that provides 280 hp and 262 lb-ft of torque—is mated to a nine-speed automatic. 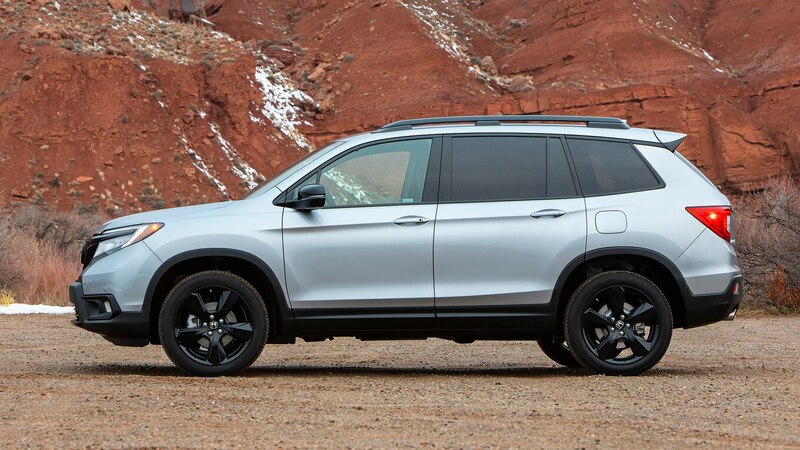 This is the same powertrain found in the Pilot’s upper trims, and it’s the only combination available in the Passport. 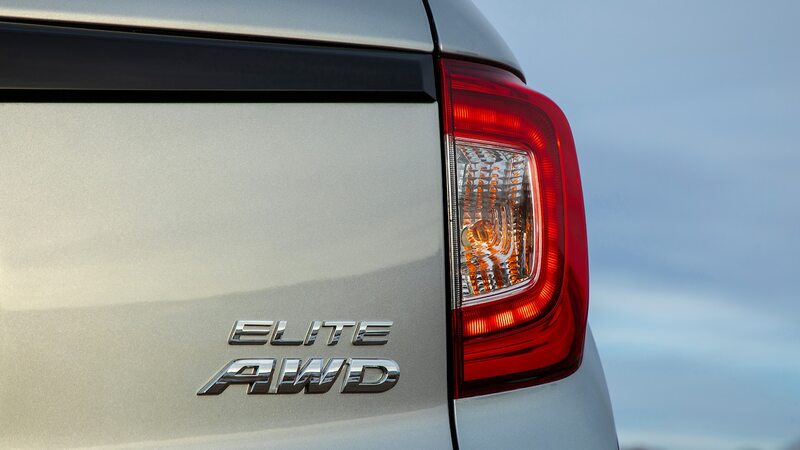 All-wheel drive is available in every trim for an additional $1,900 USD except on the Elite, where it comes standard. 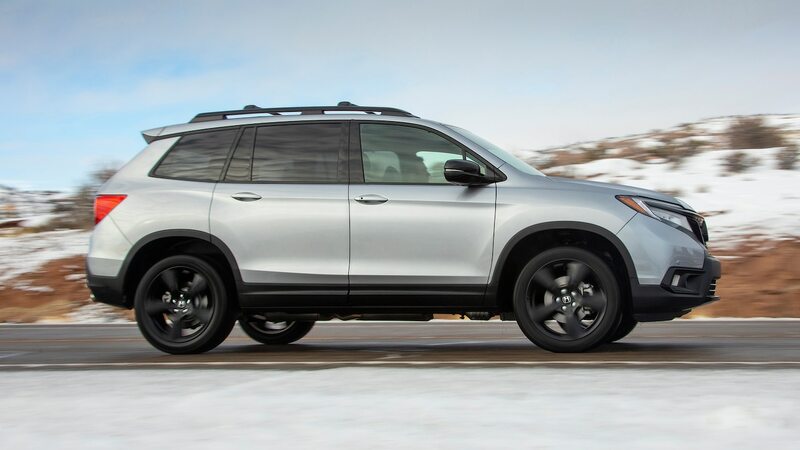 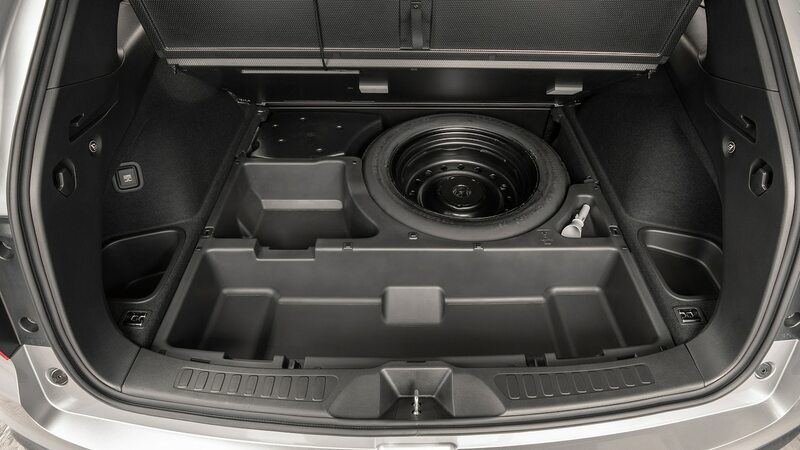 It’s the same system we’ve tested in the Pilot, which can send up to 70 percent of the torque to the rear wheels and 100 percent of that torque to the left or right wheel. 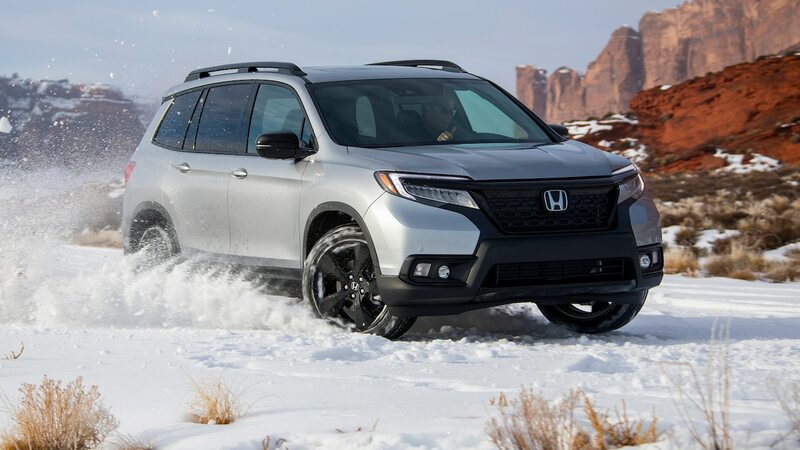 Four drive modes are available: Normal, Snow, Mud, and Sand. 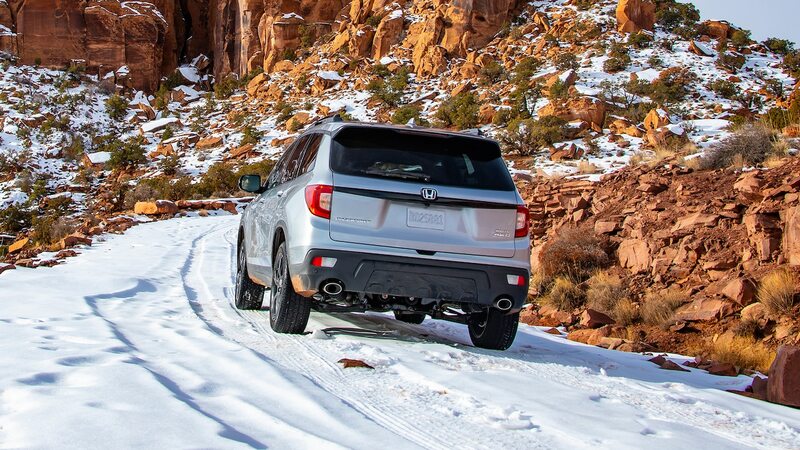 Every mode changes the throttle and transmission mapping, and depending on which mode you drive, the Passport will send more torque to the rear for better performance. 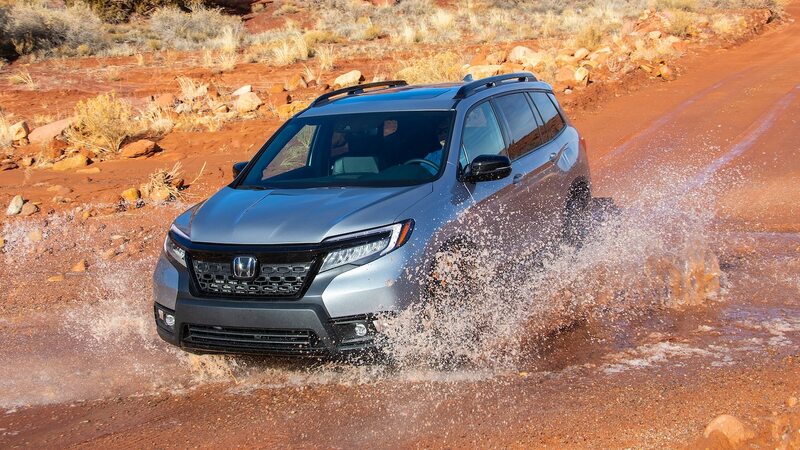 When driving in Mud mode, I noticed more wheel slip when driving over wet surfaces, allowing the Passport to maintain its momentum. 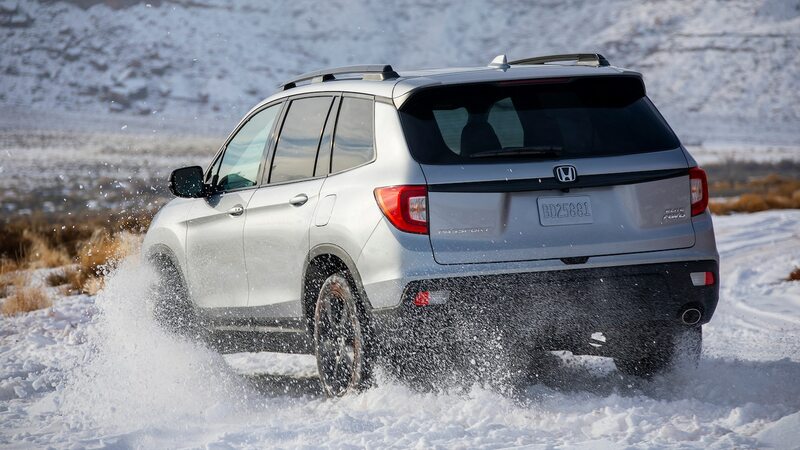 I also drove in Snow mode and noticed that the throttle inputs were less aggressive than in Normal mode. 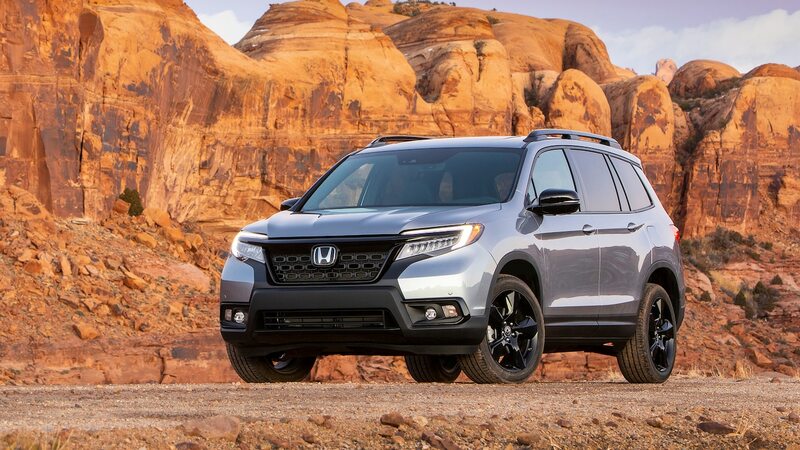 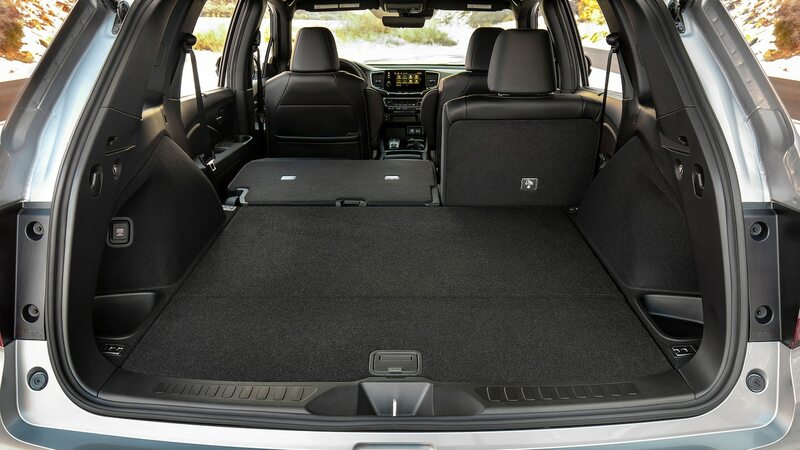 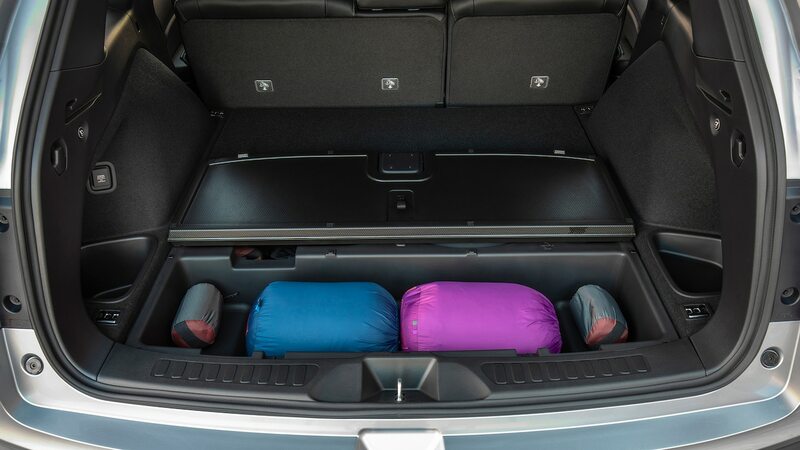 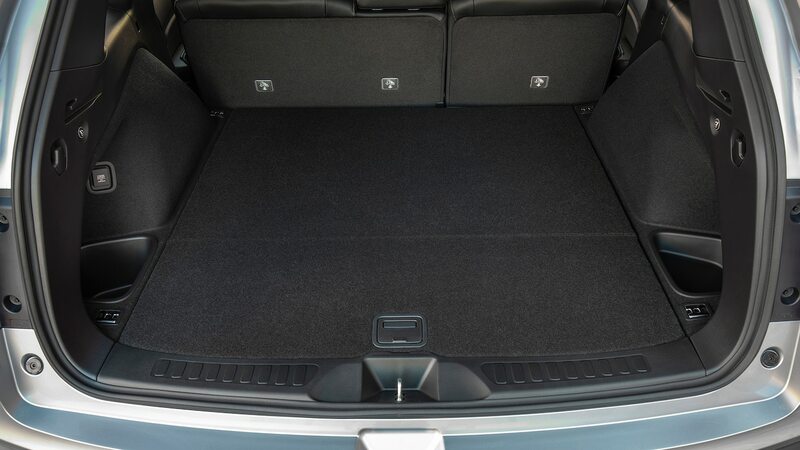 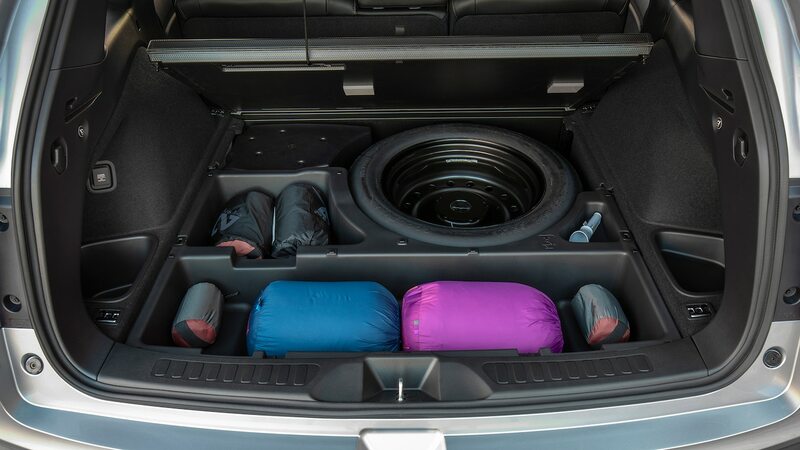 The lack of a third row makes the Passport about 100 pounds (45 kg) lighter than the Pilot and makes the smaller Honda feel sportier, too. 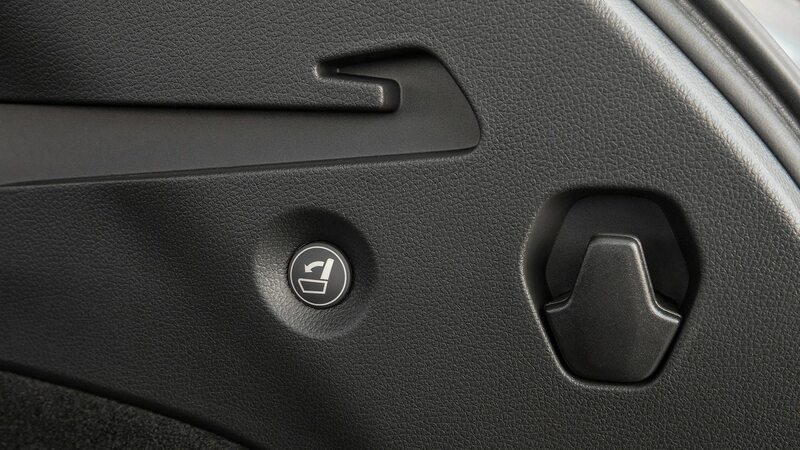 Step on the throttle, and you’ll hear a nice note from the exhaust, while your back is pushed against the seatback. 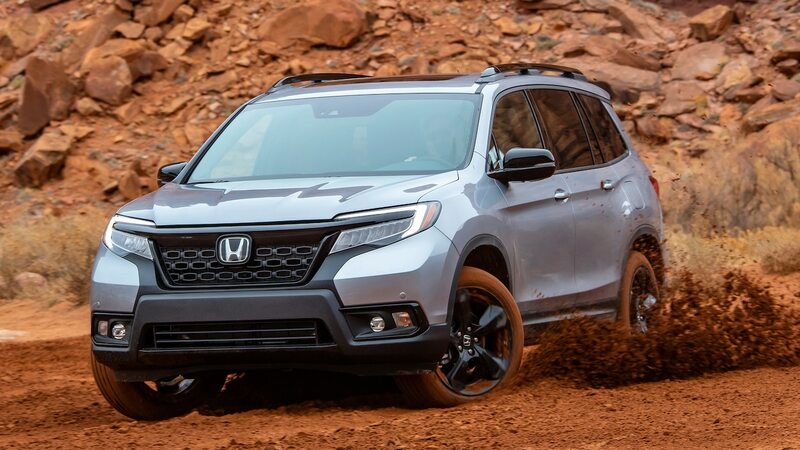 Although Honda has made changes to the ZF-sourced transmission, there were a couple of instances where the gearbox took a long time to downshift, and even though most shifts were smooth, Mud mode made the shifting a little rougher. 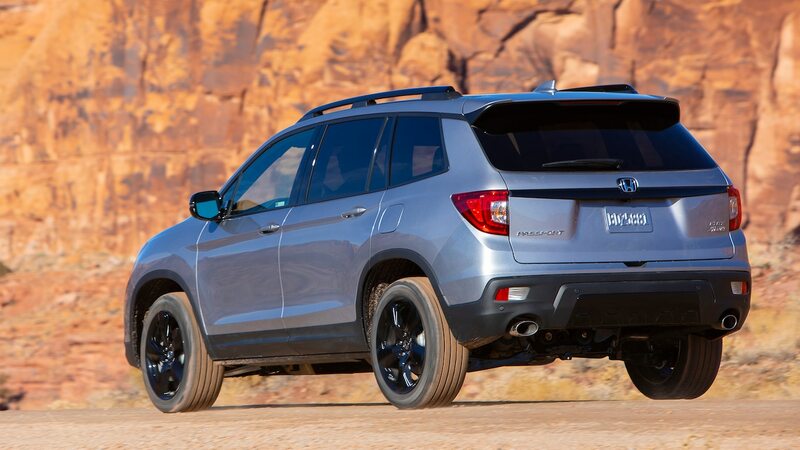 We’ll have to wait and see how the transmission behaves once we get a Passport in for full instrumented testing soon. 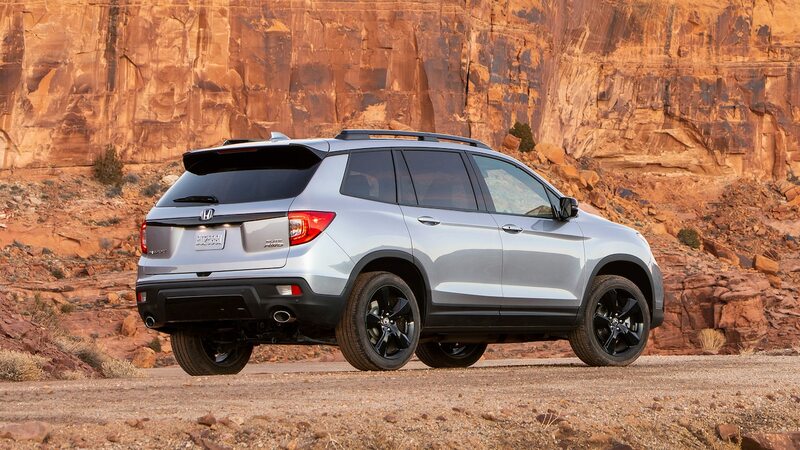 Four trims will be available—Sport, EX-L, Touring, and Elite—once the Passport arrives at dealerships on February 4. 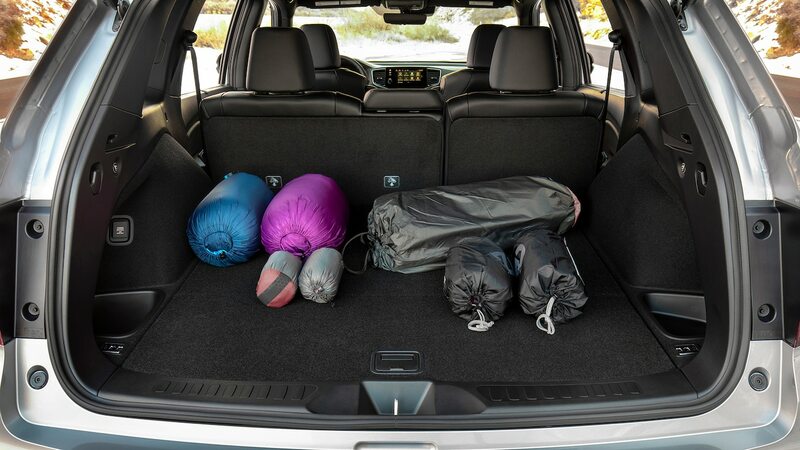 But regardless of the trim, every Passport enjoys soft-touch plastics and a spacious cabin, with enough room for five adults and their gear. 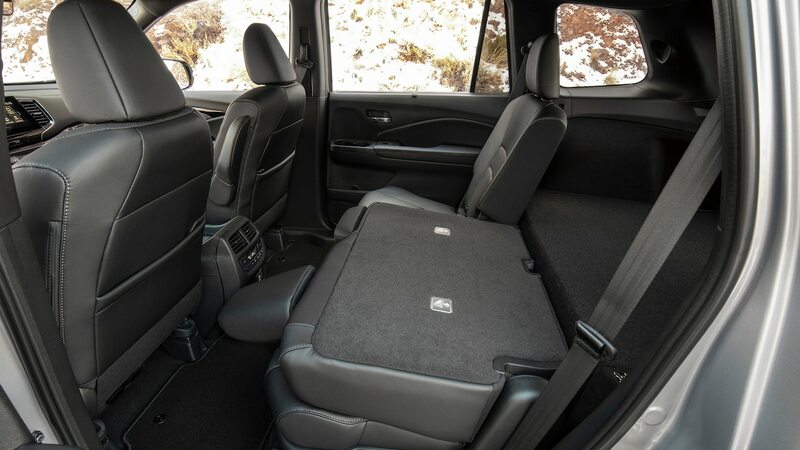 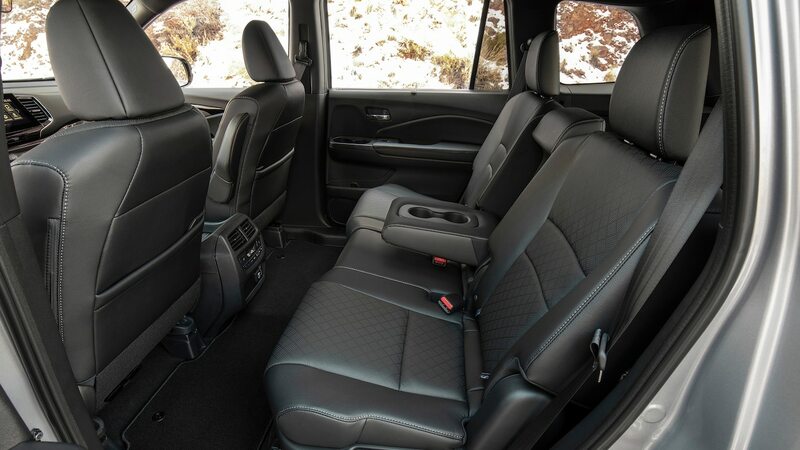 In Utah, we drove the Passport Elite, which comes with heated and ventilated front seats, a heated steering wheel, leather upholstery, heated rear seats, a wireless phone charger. 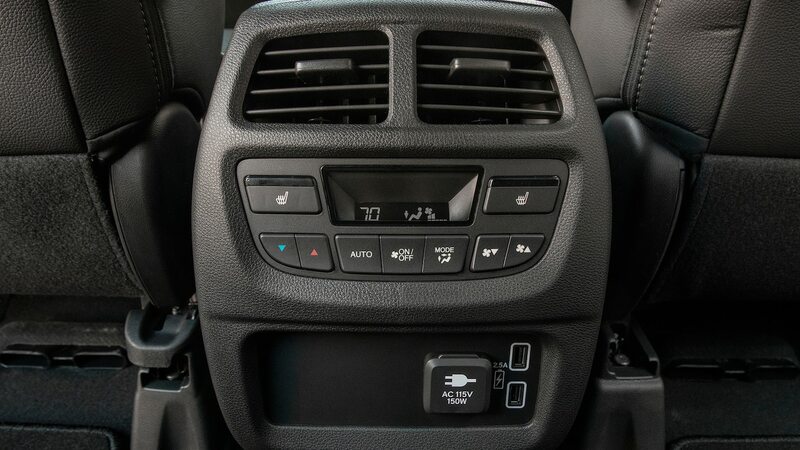 and four USB ports (two in the front, two in the back). 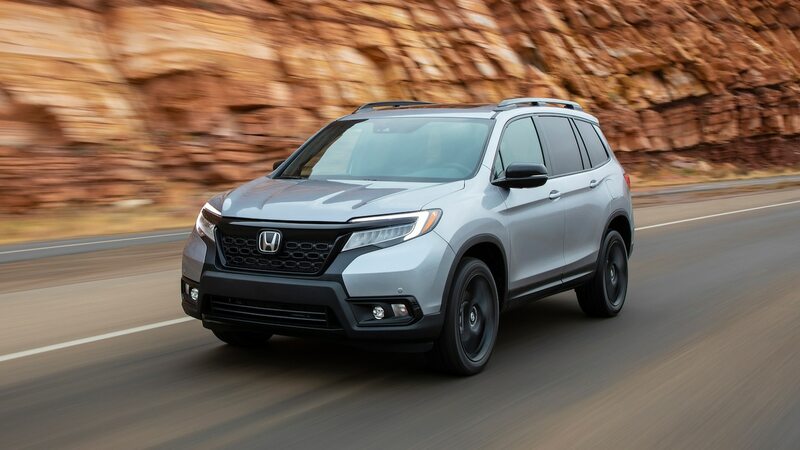 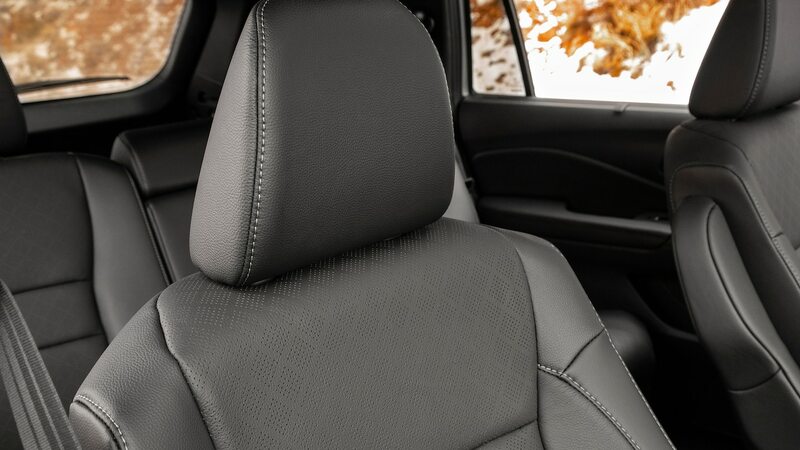 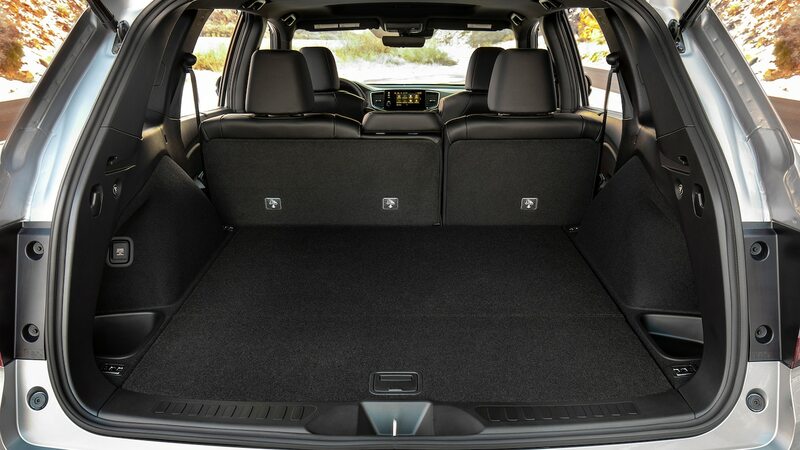 Still, every trim comes with push-button start, three-zone automatic climate control, 20-inch wheels, LED daytime running lights, LED headlights and taillights, and an underfloor cargo space that can hide the occasional shopping bag, laptop, or purse. 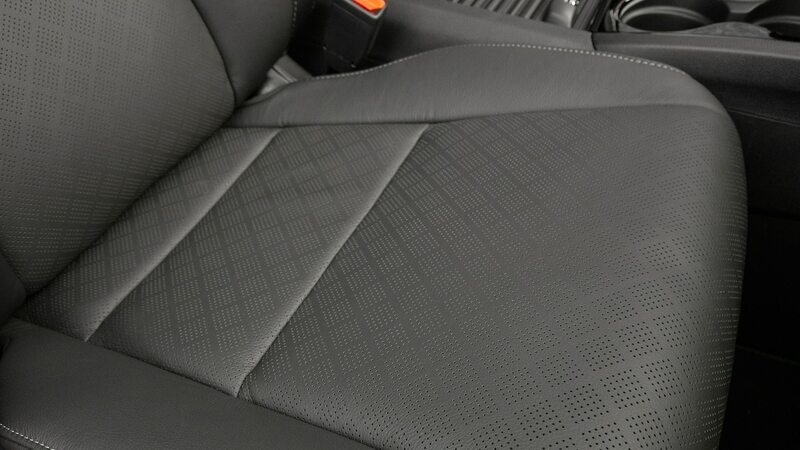 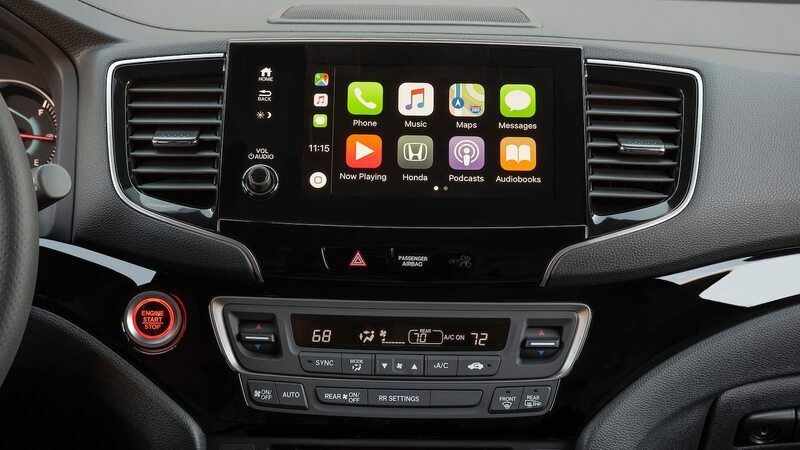 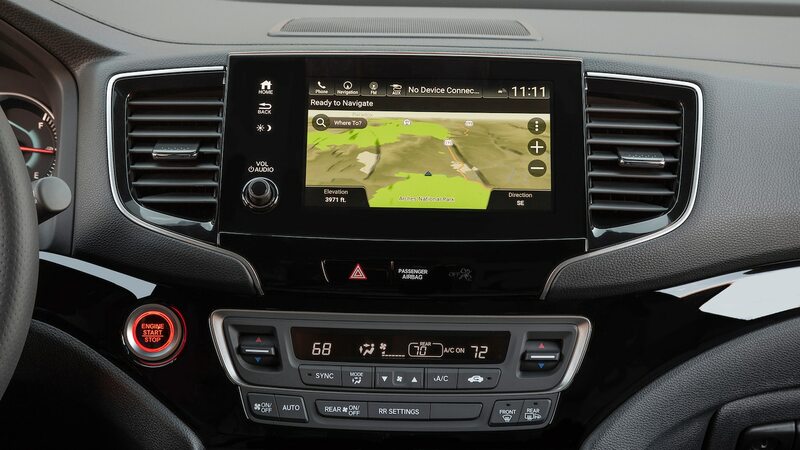 However, those who buy the Sport trim won’t get Apple CarPlay or Android Auto, as this capability is only available on EX-L, Touring, and Elite through the 8.0-inch touchscreen. 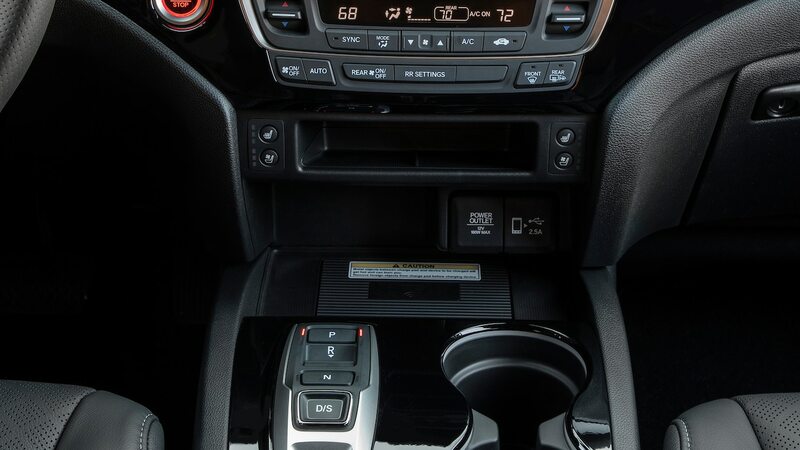 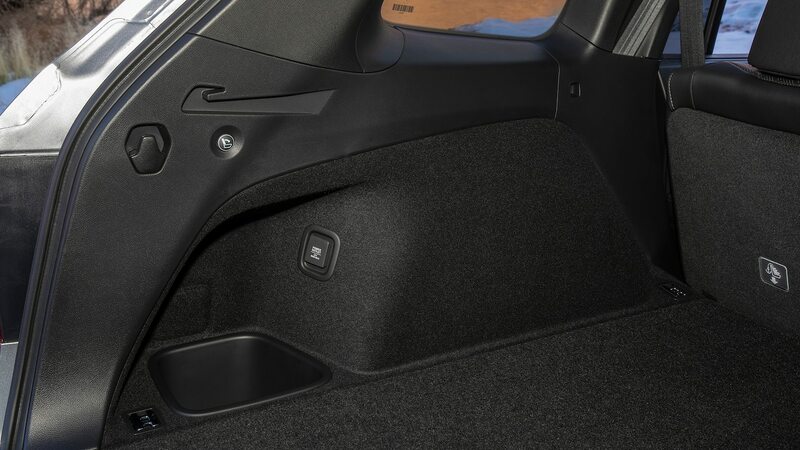 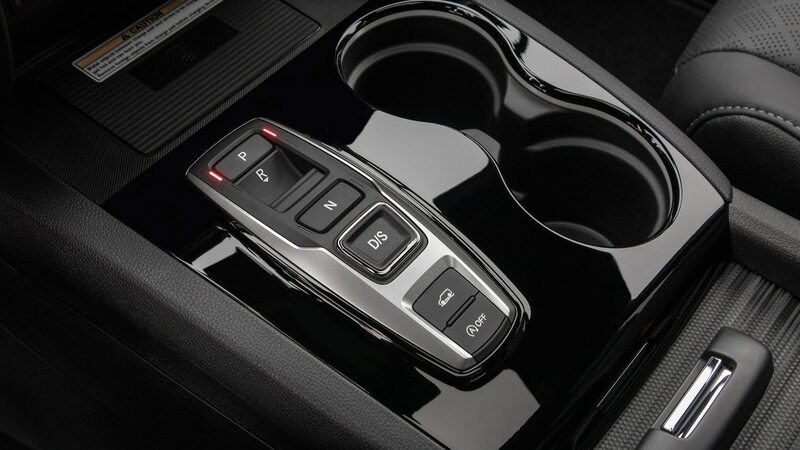 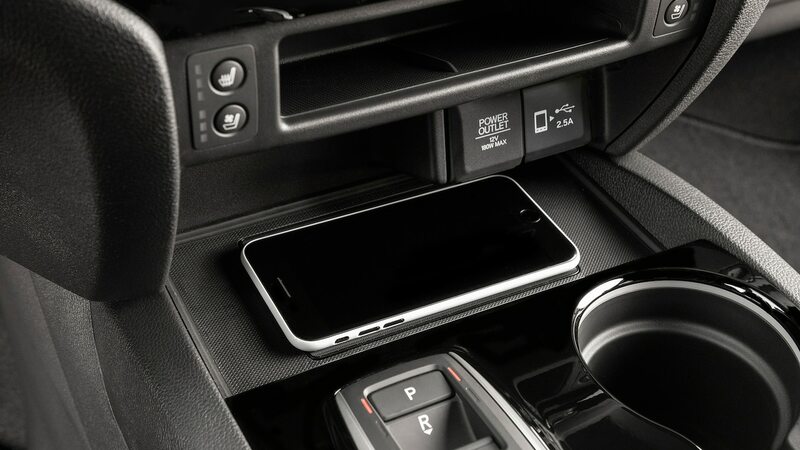 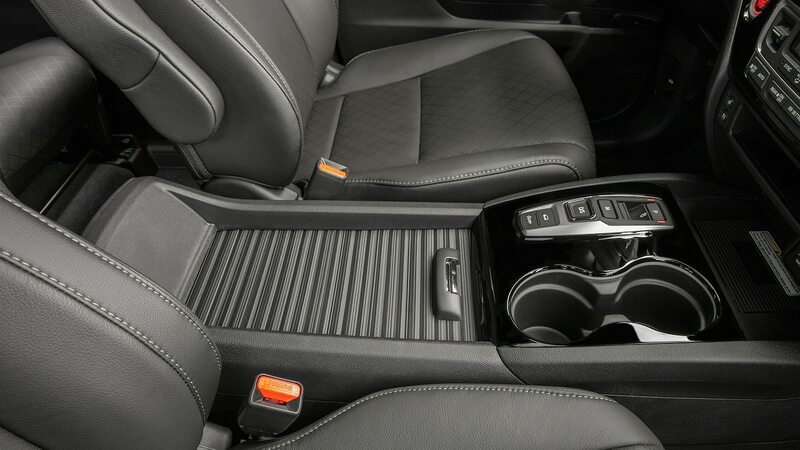 One thing we did miss in the interior is the electronic parking brake; every 2019 Passport is equipped with a pedal parking brake. 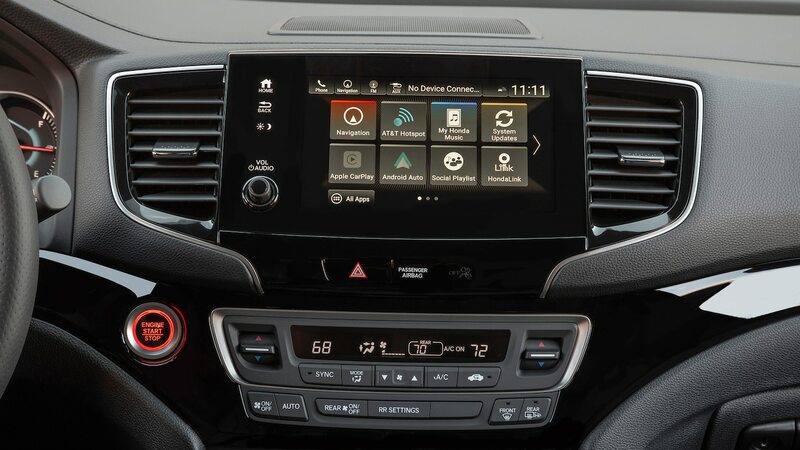 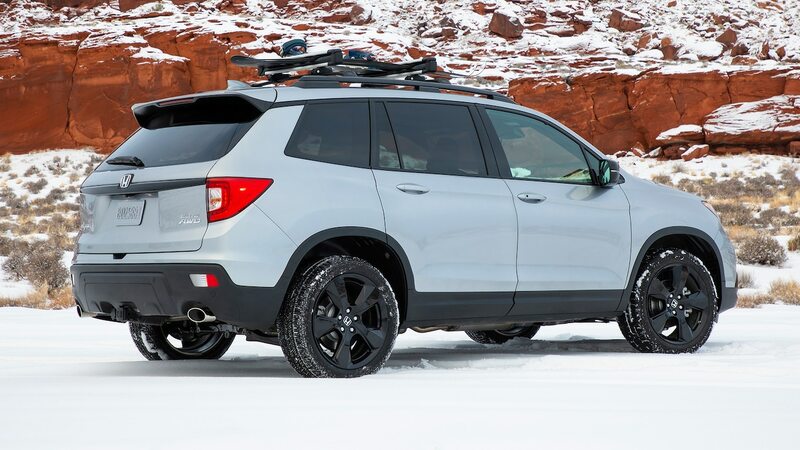 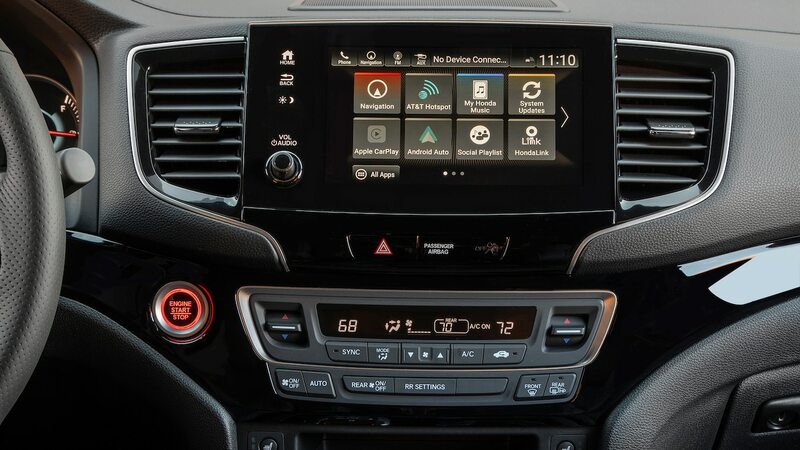 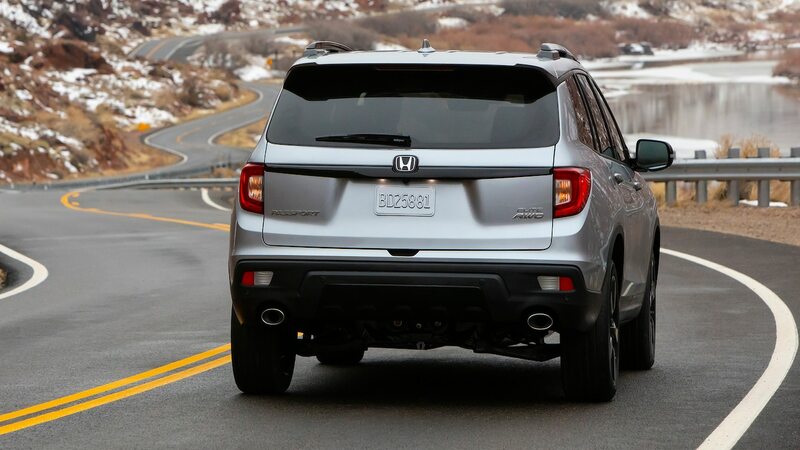 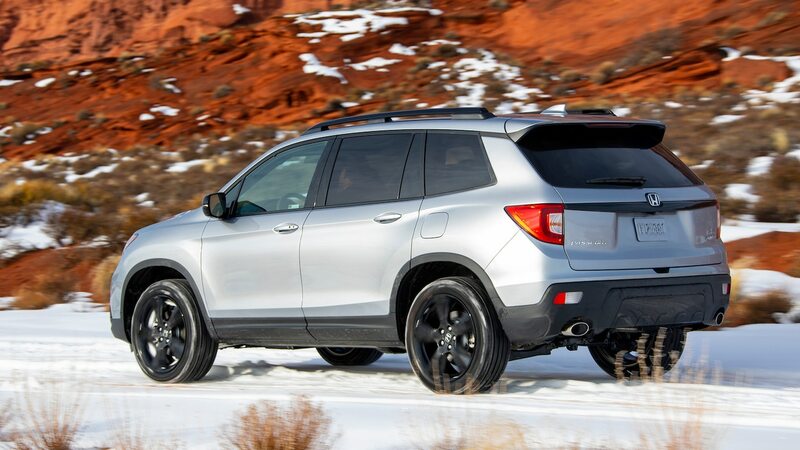 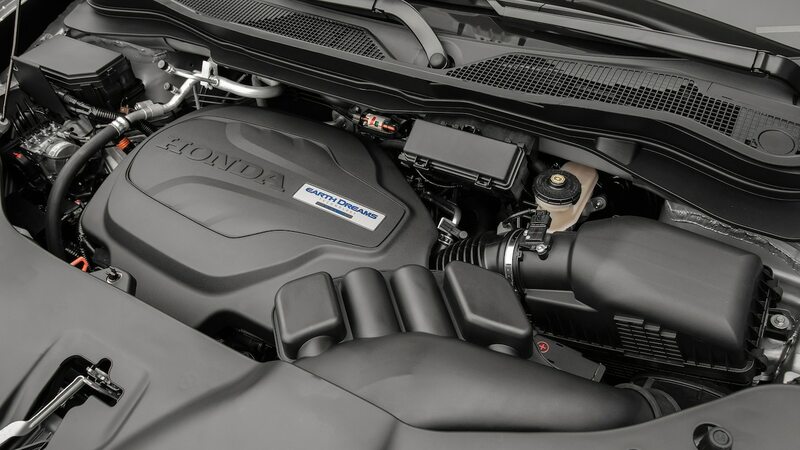 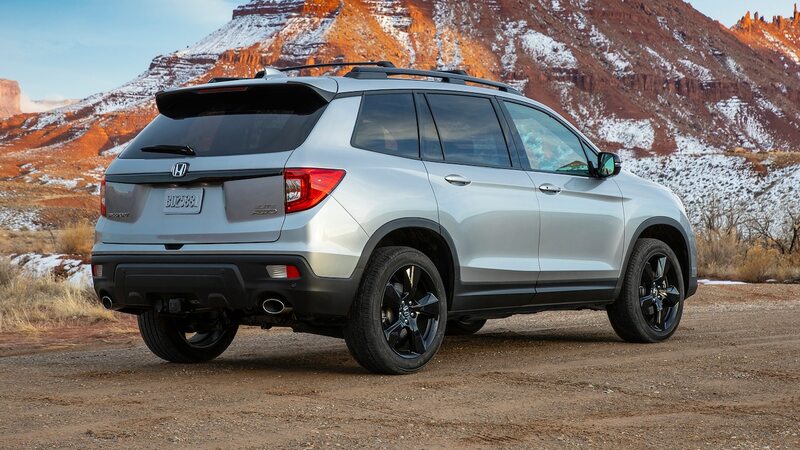 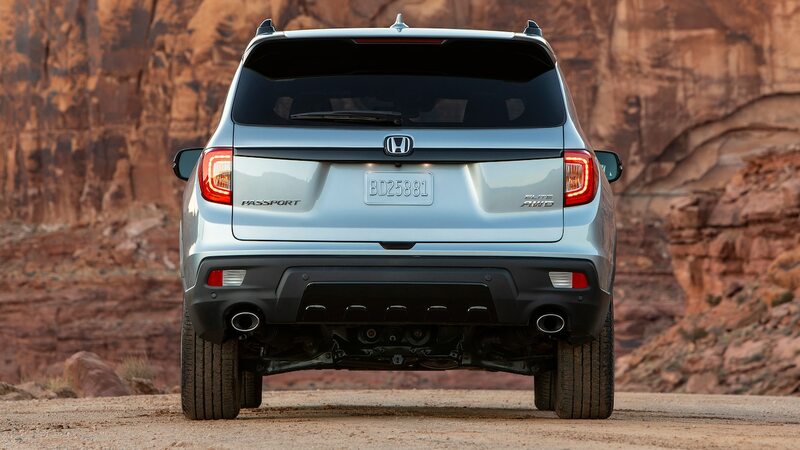 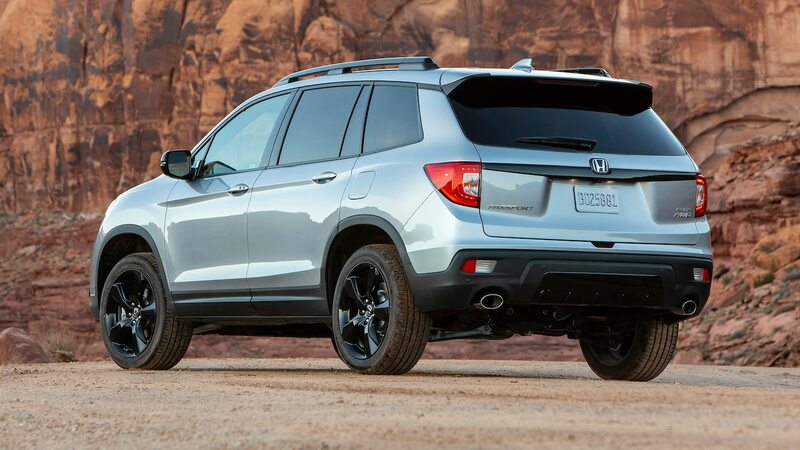 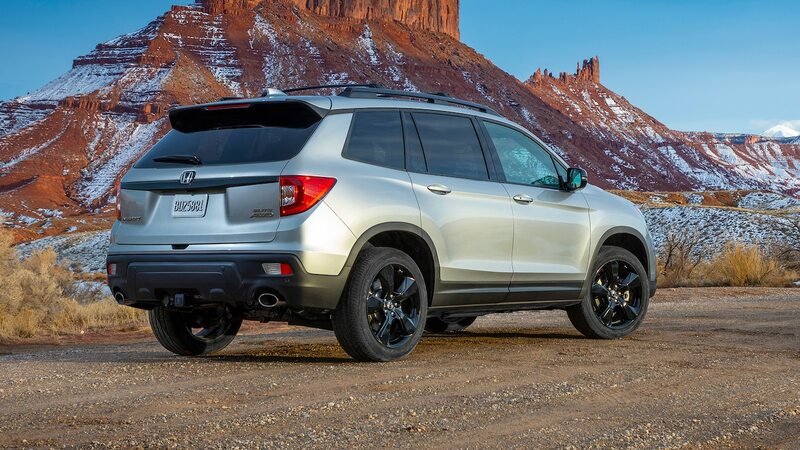 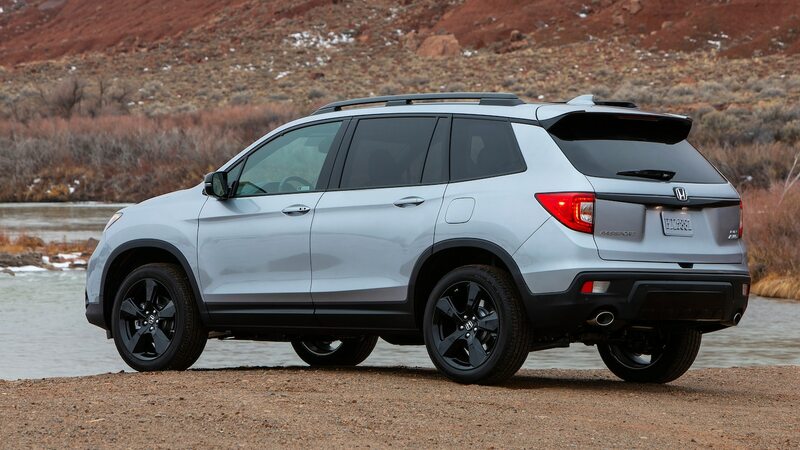 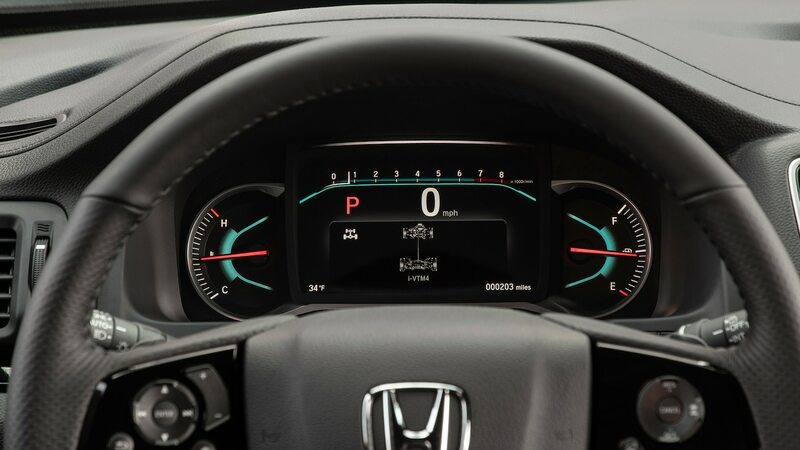 Like other new Hondas, the Passport is equipped with Honda Sensing, which means all models get automatic emergency braking with forward collision warning, lane keep assist, lane departure warning with road departure mitigation, and adaptive cruise control. 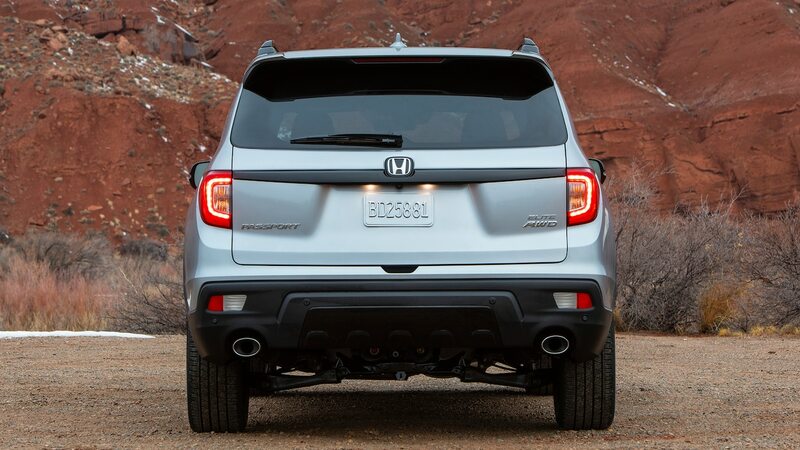 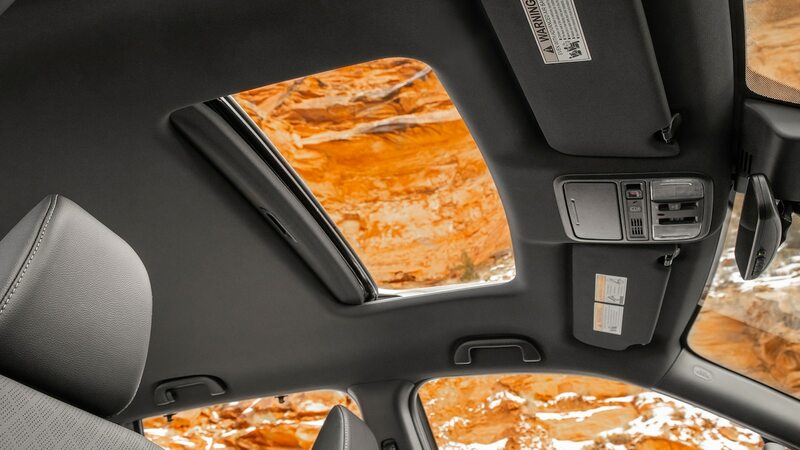 Besides its rugged styling, the Passport stands out by making these safety features standard. 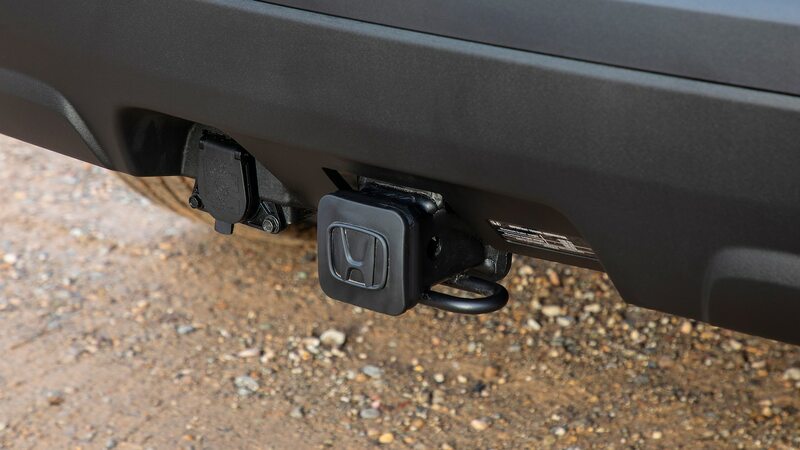 As we’ve said in the past about Honda’s active safety systems, the features are easy to enable and work great. 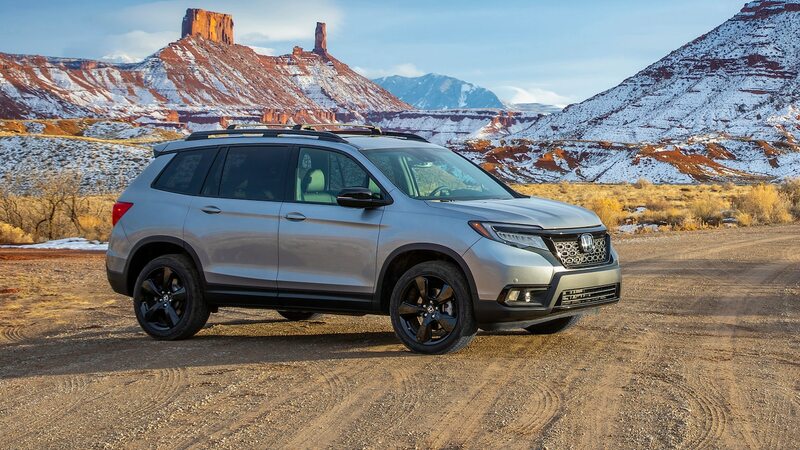 With pricing starting at $33,035 USD, the Passport Sport is more expensive than its competition and pricier than the Pilot LX ($32,495 USD). 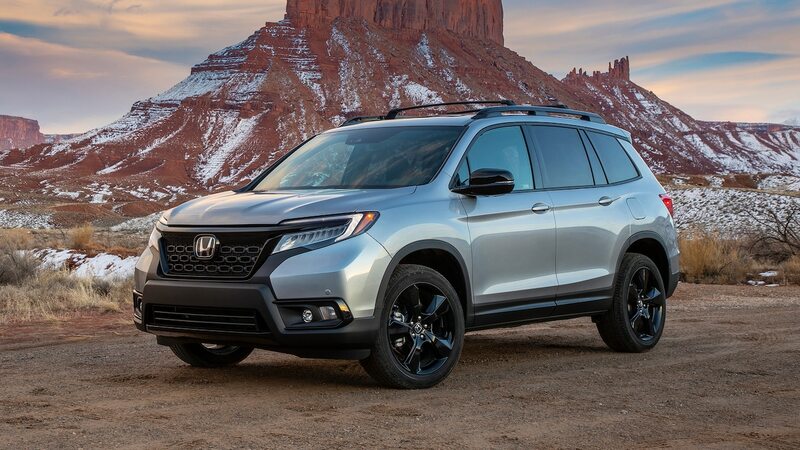 The Passport EX-L, which gets significantly more standard equipment than the Sport, gets a decent price bump to $37,445 USD. 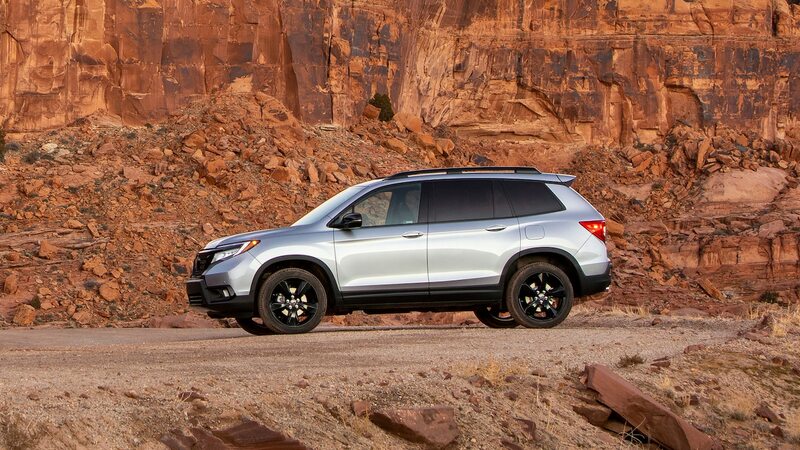 Touring and Elite are available for $40,325 USD and $44,725 USD, respectively. 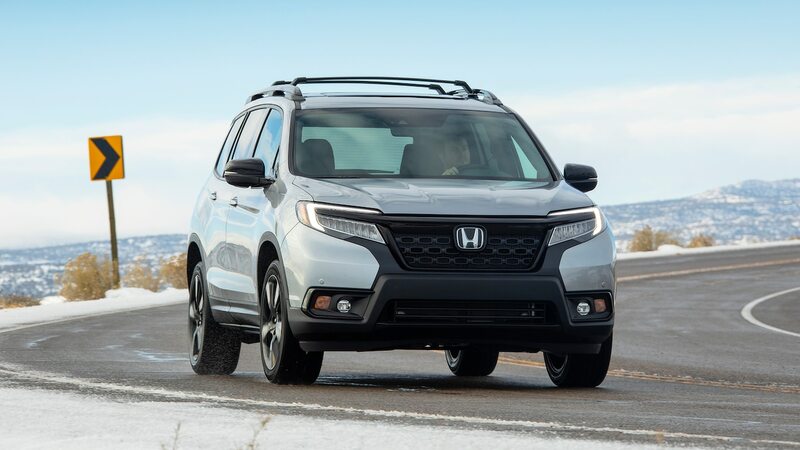 The Passport isn’t the most affordable model in the segment, but Honda says you get more bang for your buck, given the increase in standard equipment over its competition (Chevrolet Blazer, Ford Edge, Hyundai Santa Fe, Nissan Murano, and Jeep Grand Cherokee). 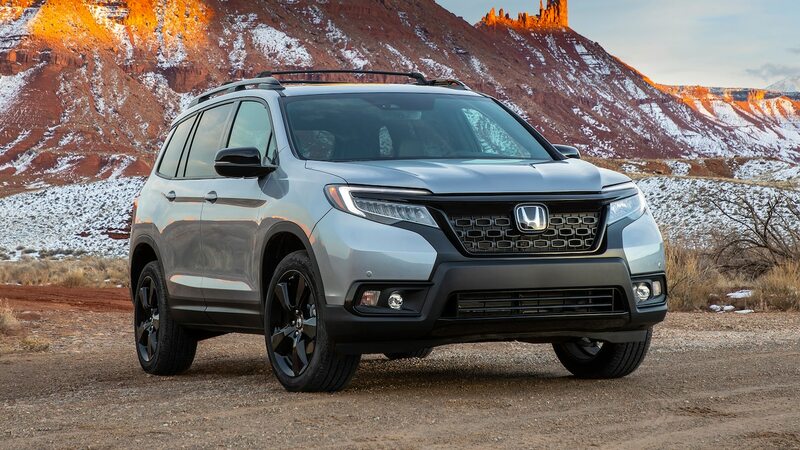 For a five-passenger SUV, the prices might seem too high to some, but only time will tell whether the market is ready for more Passport adventures.